After 4 days of strong NW winds off Lake Superior we got so much snow that we could not get out of the house. 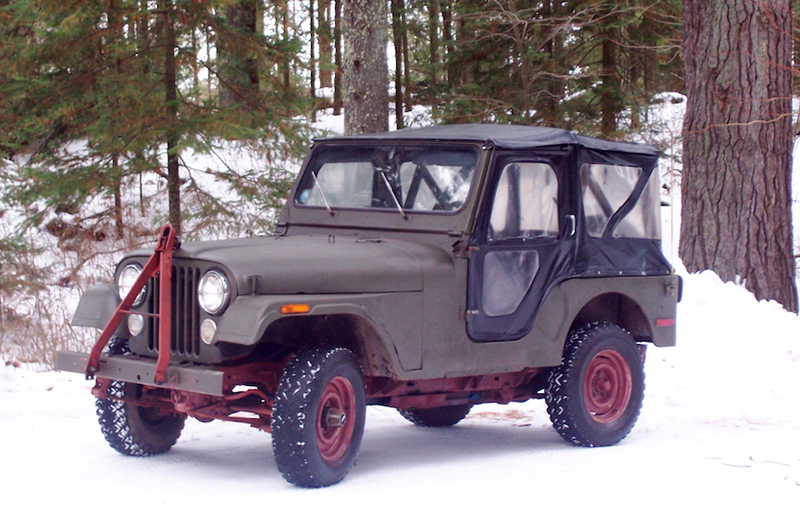 How our CJ-5 Jeep is connected to the serial killer Jeffery Dalmer! The 125 year history of of the Gorman House, the Gorman House Beach House and the land, involves a interesting and varied cast of characters that are connected to major events in the history of the small village of Ontonagon, Michigan located on the south shore of Lake Superior. Involved were eastern capitalists, lumbermen, miners, fisherman; government officials including: one judge, a county supervisor, a county surveyor, a county register of deeds, and two prosecuting attorneys, Major executives including: a businessman who opened one of the country's largest underground copper mines, and a mine president that closed the mine, a lumber company president who had bad luck with fire, a publisher who published the Upper Peninsula's first area-wide telephone directory, the business manager of ship building company, and a paper mill president. One land owner helped to start the White Pine Mine, a mine that produced 4.4 billion pounds of copper, developed 13 square miles of underground works and reached a depth of 2,700 feet. Two owners of the Gorman House went to Federal prison, and one owner, a professional librarian, worked as a law librarian. The wife one one owner was a model for her feet and used her kids as models. It is said the the wife of one owner never went in the kitchen. That was where the cook worked. At least two owners were member of Rotary. One owner was member of Rotary One, the first Rotary Club in the United States. 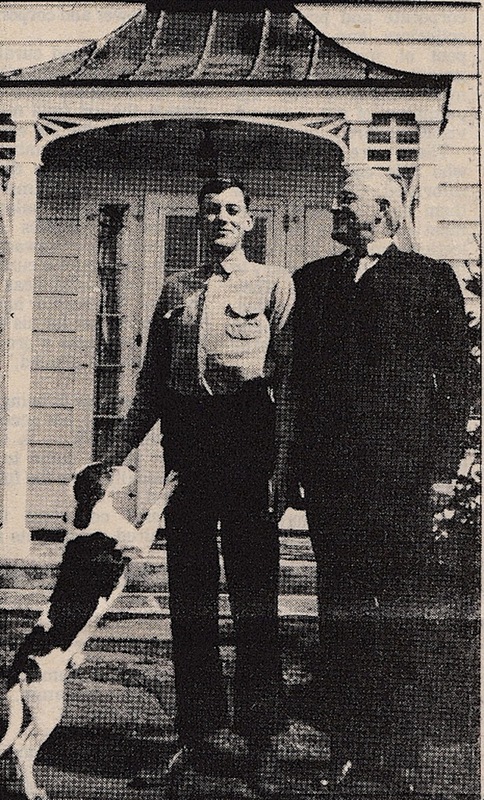 The son of one owner became a renown transportation and maritime attorney in New York City, retired, and built a house across from the Gorman House where he lived as a child. The Gorman House beach house building housed Ontonagon's first public library was moved by a owner who moved the building from downtown Ontonagon to its present location on Lake Superior. 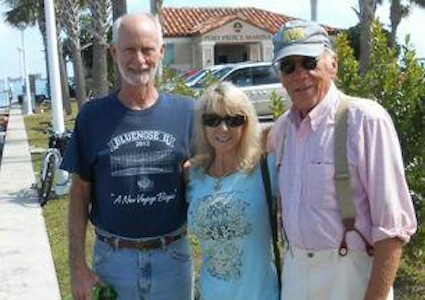 The most prominent visitor was probably Michigan's governor Mitt Romney Sr., his son and wife. 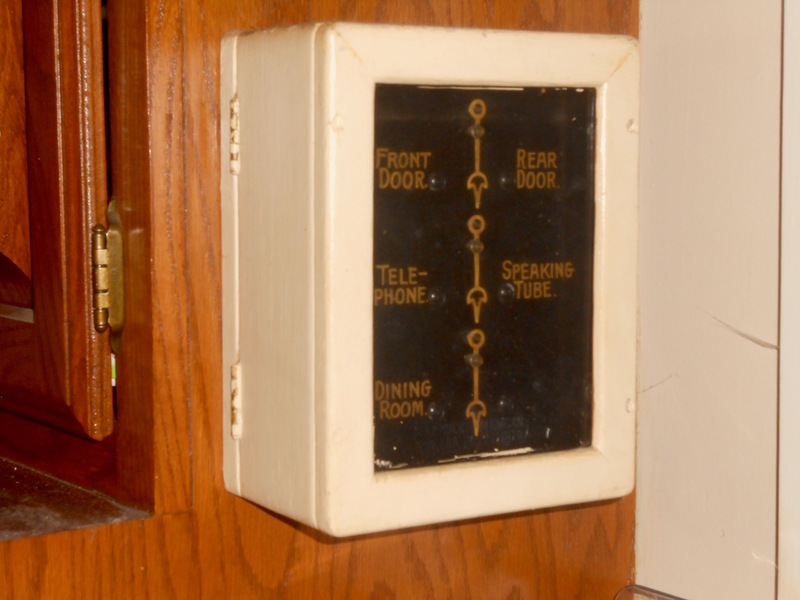 Many extra phone lines were installed in the house. Two owners also owned Ontonagon's historic courthouse which is listed on the National Register of Historic Places. One of these owners turned the court room into s basketball court. The Gorman House was built twice. A fire destroyed it before it was lived in and it was rebuilt. One owner turned the “gun room” into a sauna and put a hot tub in the garage. 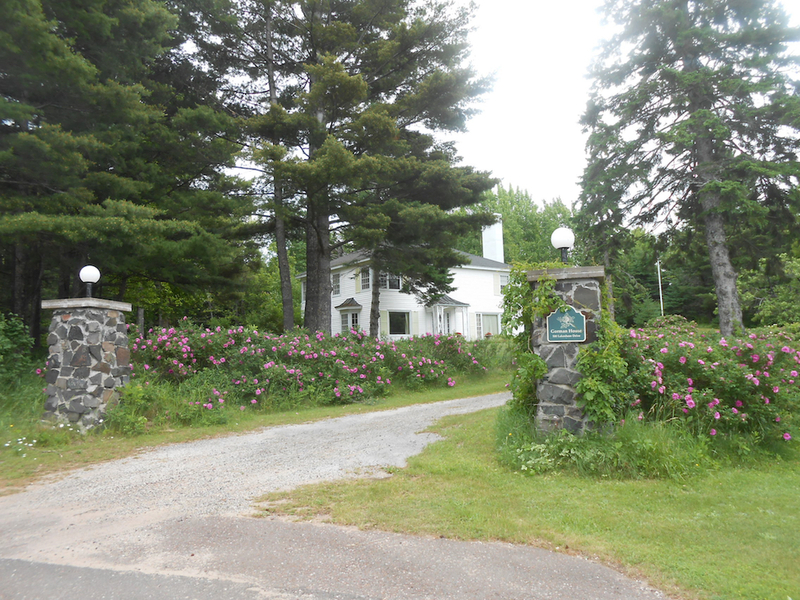 One owner used the house as Ontonagon's first bed and breakfast. One owner never allowed the help to come through the front door. 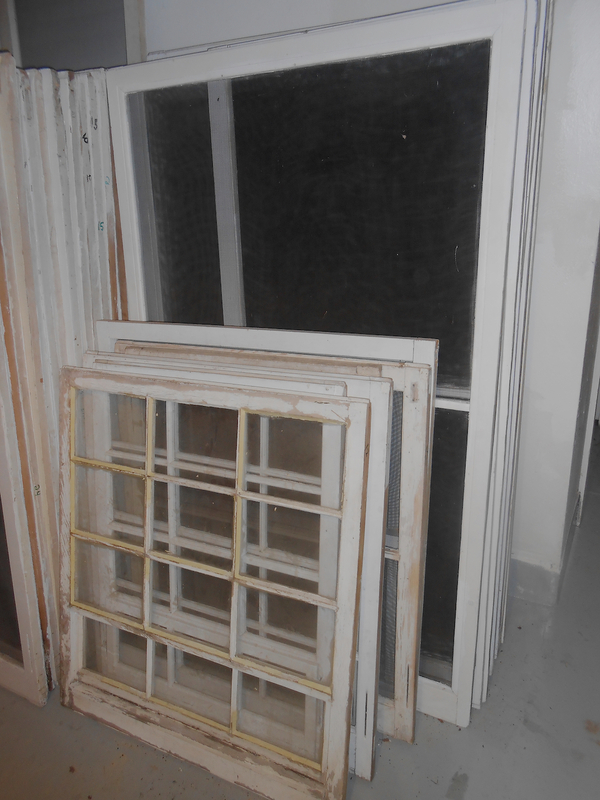 One owner helped to move valuables from the house while the FBI was closing in.
. The general structure of this site is based on the the 34 page Gorman House abstract by Judith D. Roehm of the Ontonagon County Abstract Office. It has 75 entries beginning with entry 1 when the land is obtained from the United States government. The 165 year history of the Gorman House begins in 1851. Millard Fillmore, a Whig, is the 13th President of the United States. 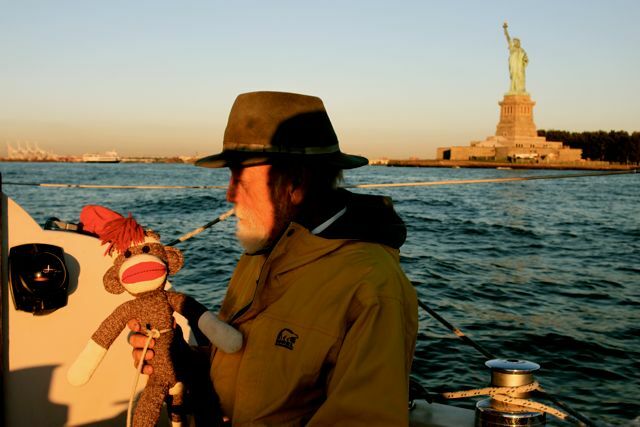 The yacht “America” wins the first America's Cup race. The New York Times starts publishing at 2 cents a copy. A fire devastates the Library of Congress. 35,000 volumes are destroyed. A Baltimore dairyman sets up the 1st ice-cream factory. Michigan had been a state for only 20 years. On December 2, 1851, the United States of America issued to Simon Mandlabaum of Houghton, Michigan, a land patent to lot Three (3), Sec. 19, T. 52 N. R. 39 W. in Ontonagon County, Michigan. 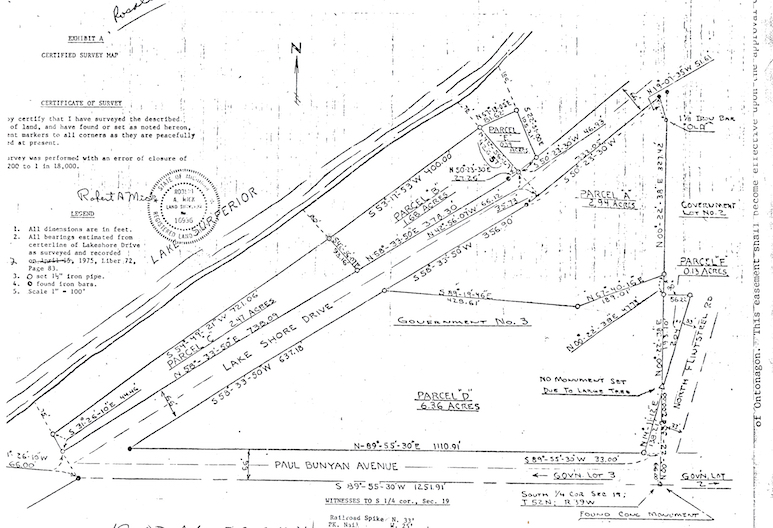 This patent includes the land where the Gorman House would eventually be built. A land patent is an exclusive land grant made by a sovereign entity in this case the United States government, with respect to a particular tract of land. To make such a grant “patent”, a sovereign must document the land grant, securely sign and seal the document (patent), and openly publish the documents for the public to see. 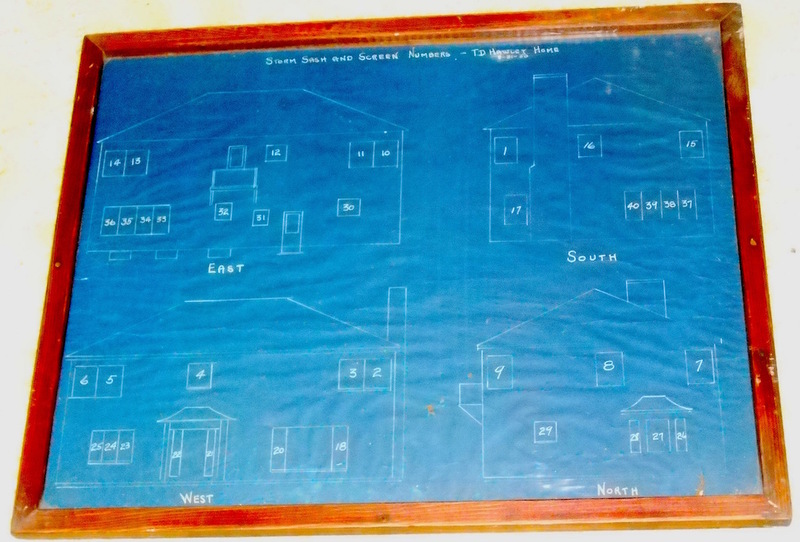 An official land patent is the highest evidence of right of title and interest to a defined area. This land was once part of the territory of Wisconsin. As the result of the so called “Toledo War.” of 1936 a strip of land was in given to Ohio so they would have a port on Lake Erie. 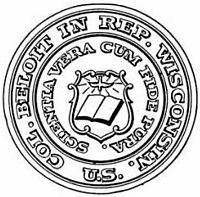 In return the top of Wisconsin was conseded by congress to the new State of Michigan. 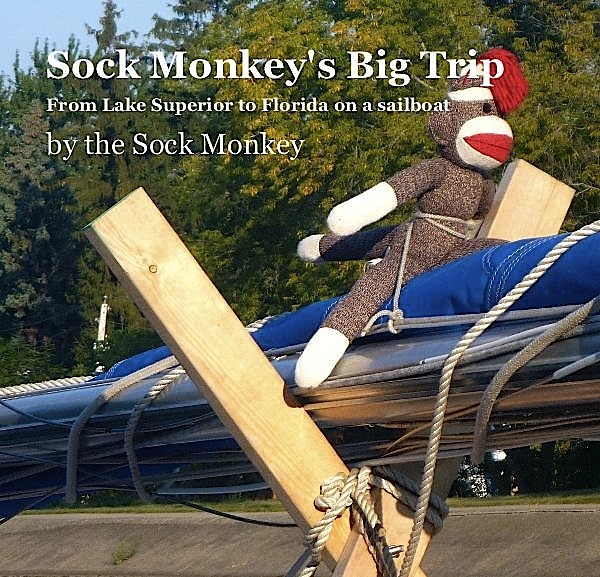 This created the “Upper Peninsula,” of Michigan. At the time most people considered the Upper Peninsula as completely worthless. But as James Jamison documents in This Ontonagon County, people soon realized the value of he the vast mineral resources and vast forests of White Pine. It is said that the U.P. produced more wealth than the California Gold Rush. Simon Mandelbaum, was an early mining pioneer in the Keweenaw Peninsula and Ontonagon area. In 1840's he applied for and was granted Lease 36 for land in Ontonagon County in the name of the Silver and Copper County of Ontonagon Rapids. In 1851, he was on the original board of directors of the Phoenix Mining Co. and was agent-in-charge of the Phoenix Mine from 1850 to 1853. As agent-in-charge he was instrumental in finding some ancient mining pits for the New Phoenix Mine and five other Keweenaw mines. Evident suggests that he attended The University of Michigan in Ann Arbor and studied engineering. He was very successful. This name appears in a Ph.D. Dissertation from the Wayne County University in Detroit by Alexandra McCoy on “economic elites.” In 1880, Simon Mandelbaum had an annual income of $10,000. In today's dollars it would be nearly $280,000. 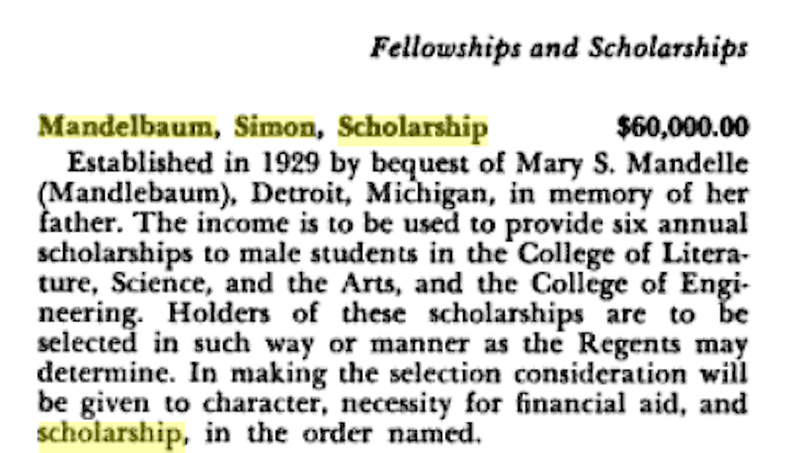 In 1929, a Simon Mandelbaum Scholarship was established by the late Mary S. (Mandlebaum) Madelle of Detroit for those attending the University of Michigan, in memory of her father, Simon Mandelbaum. 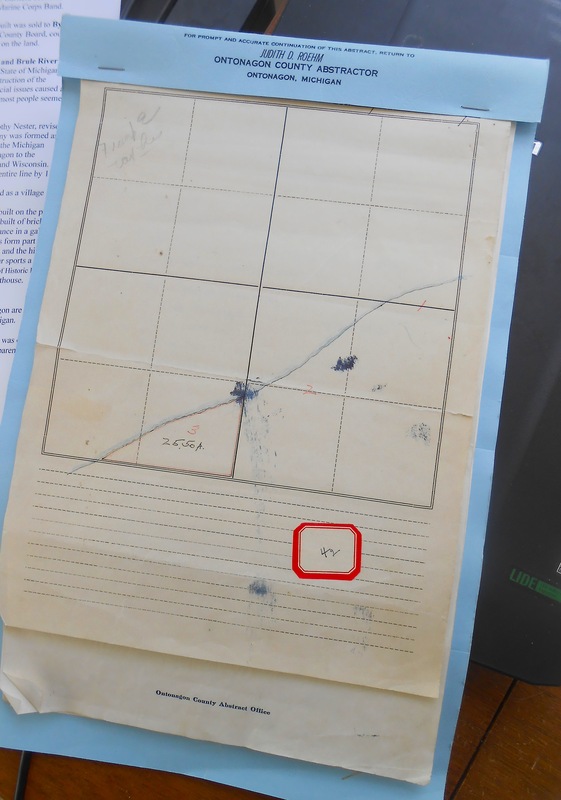 The August 2015 issue of American Philatelist has a picture of a rare envelope addressed to Simon Mandelbaum. 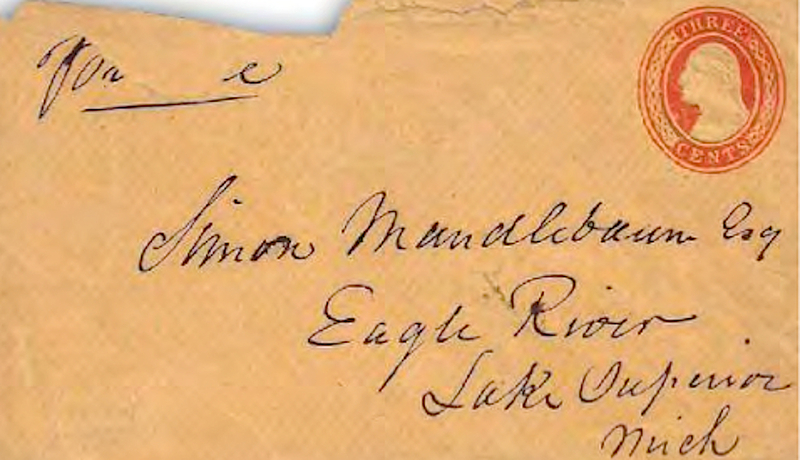 “This 1853 3-cent stamped envelope”,” says author Petoskeyl, “was carried outside the mail system by ship to Simon Mandlebaum, Eagle River, Lake Superior, Mich. The notation of which ship carried this piece was torn away during its opening.” This 3-cent stamped envelope is from 1853 and is one of the early government stamped envelopes to be manufactured. In 1851, the rush to mine copper in Michigan's Upper Peninsula was underway. Samuel Knapp discovered what was to become the very profitable Minesota Mine. (The Minesota mine was supposed to be spelled like the state – Minnesota – but a secretary misspelled it when typing the incorporation papers, so it remained that forever.) In four years of operation, the investors who were mainly Boston capitalists doubled their investment ion the mine. The American Civil war resulted in a great need for copper, and it said that Ontonagon County mines provided over 50 percent. The copper rush was on. 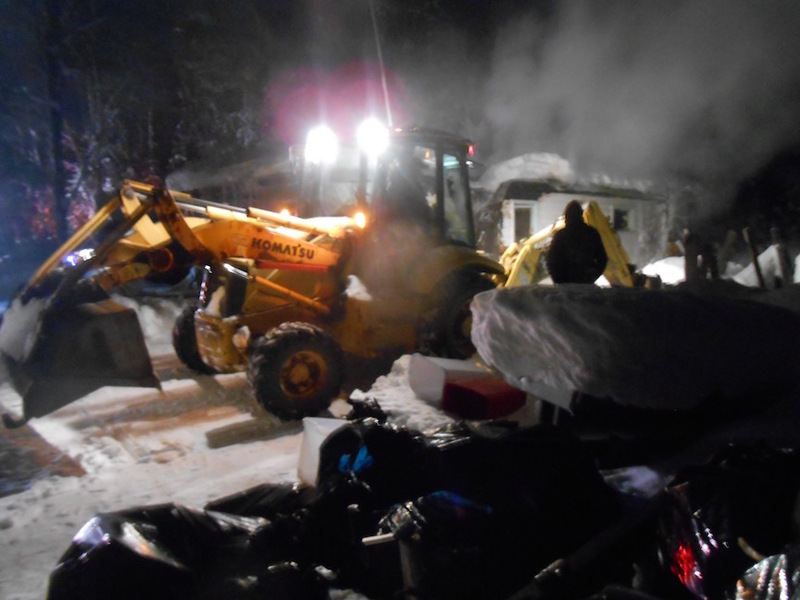 People rushed in to Ontonagon County. According to James K. Jamison in his classic book, This Ontonagon County, Jamison says that no one probably ever know how many mining companies were organized to exploit the mineral resources of Ontonagon County. One careful search discovered one hundred and twelve corporations with mining property existed. The Ontonagon River is the largest river on the south shore of Lake Superior. Soon the port of Ontonagon became the busiest port on Lake Superior which created the need the was need for a lighthouse. In 1851, a wooden lighthouse was constructed on the west side of the river's mouth to guide ships to the port from which copper was being shipped from the mines upriver. In 1951 business was booming in Ontonagon and a hotel the Bigelow House was under construction. It was a frame structure, five stories high, and eighty feet front by 110 feet. deep, with a basement, which was first occupied by the Miner newspaper office, post office, County Clerk's office, a Justice of the Peace office, a clothing store, a billiard room and bar. Fortune-hunting prospectors gathered at the five-story hotel to exchange information about possibilities for striking it rich here and elsewhere. The Lake Superior Miner was Ontonagon's first newspaper. A later owner of the Gorman House would, for a brief time, would publish the Miner once again. In 1852, the abstract documents that Simon Mandlebaum and his wife Mary transferred the land to Joseph W. Clark of Boston in trust for Balch, Clark and Mandlebaum of Boston, Mass. In 1855, Simon Mandlebaum and his wife Mary sold half the property to Livi Hanna of New Lisbon, Ohio. Time passes. 25 years to be exact. It's 1880. Building of the Panama Canal begins, Thomas Edison patents the incandescent lamp, James A. Garfield becomes president, and John Philip Sousa becomes new director of U.S Marine Corps Band. In 1880, the land on which the Gorman House was to be built was sold to Byron W. White of Ontonagon County. White was a supervisor of the County Board, county surveyor and a notary public. He probably did not pay this taxes on the land. In 1881, the land was sold by a tax deed to the Ontonagon and Brule River Railroad Company. The O&B RR date back to 1857 when the State of Michigan authorized by an act to grant six sections of land to aid in the construction of the Ontonagon and State Line Railway. A survey was made, but financial issues caused a suspension and the project was abandoned for years. So long that most people seemed to have given up and forgot the grant. In the previous year, 1880, a new Ontonagon resident, a Timothy Nester, revised the rail project and the Ontonagon and Brule River Railroad Company was formed and a new survey done from Ontonagon to Rockland. The following year the Michigan legislature passed a bill defining the conditions of a line from Ontonagon to the intersection of the Brule River with the state line between Michigan and Wisconsin. The bill provided that the first 20 miles be completed in one year and the entire line by 1886. A year later, in 1886, the Ontonagon County Courthouse was built on the public square. The Courthouse is a two-story Romanesque Revival structure, built of brick on a sandstone foundation. Three sides have similar facades a central entrance in a gabled pavilion flanked by tall double-hung windows. The stone window lintels form part of a beltcourse that circles the building. A bay window is above the entrance, and the hipped roof has projecting dormers and a glass-roofed dome at the peak. The rear sports a rectangular addition. The courthouse is currently on the National Register of Historic Places. Two future owners of the Gorman House were also be owners of the courthouse. More on this later. Between 1886 and 1923 Byron White and M. A Powers of Ontonagon are dealing real estate and buying a lot of land ...mostly from the State of Michigan. M.A. Powers was register of deeds and Ontonagon County clerk. He was elected and served part of his term and then appointed H.M. Power in his place. Apparently the Board of Supervisors were not happy with this arrangement and appointed Will J. Coulter to fill M.A. Powers' vacancy. H.M. Powers declined to recognize Coulter and, as they say, “held the fort” until the Circuit Court recognized Coulter as clerk. In 1923, Sarah H. M. White, the widow of Bryon White, now living in Spokane, Washington, sold the Gorman House land to Joseph M. Donnelly of Ontonagon. Joseph M. Donnelly was Probate Judge, 1920-24 and Prosecuting Attorney, 1924-1928, and 1930-1932. In 1934 lumber was in great demand and Donnelly sold the land to the Northern Logging Company, a Wisconsin corporation. 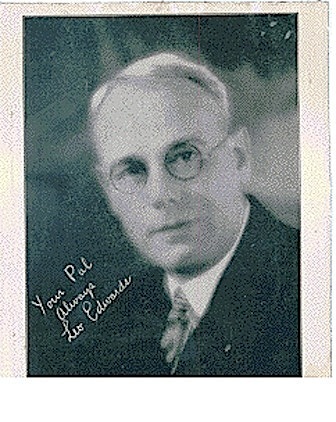 Secretary to the corporation was Walter Gorman of Wausau, Wisconsin. 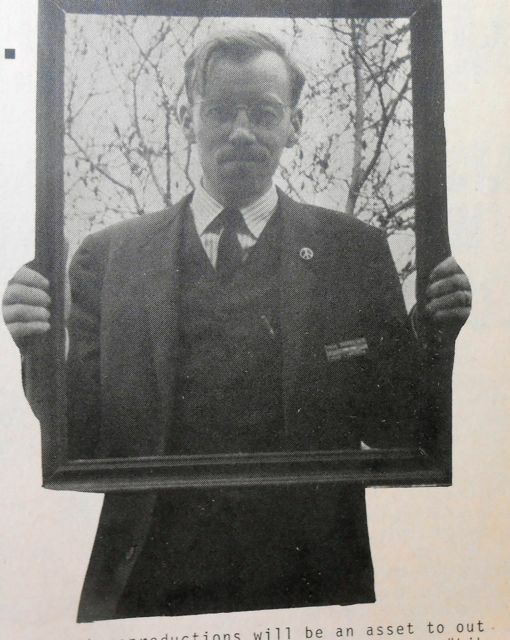 Not unlike Simon Mandlebaum, Walter Gorman was a man of means before moving to Ontonagon. The U.S. Census of 1920 records the following facts. Not everyone has a servant. 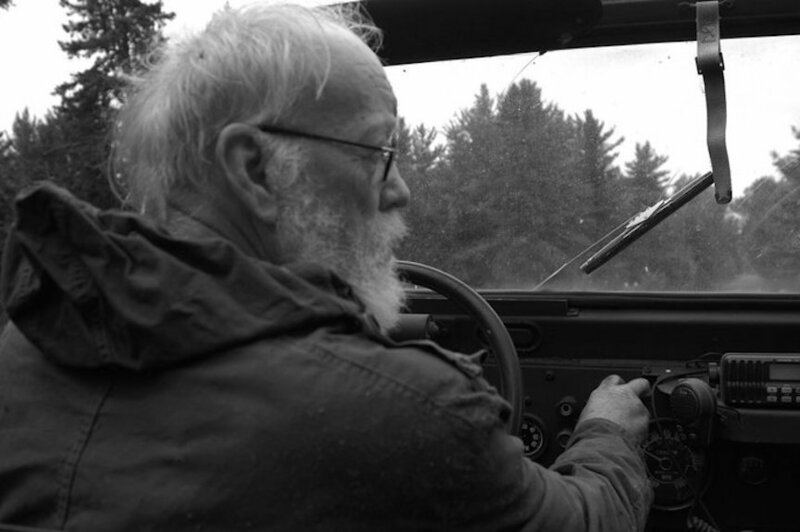 The Gormans live for 13 years in Ontonagon, where he dies at the age of 62. In the passing of Walter T. Gorman, Ontonagon has lost another of its most prominent citizens, one whose passing will be felt by the entire community, both in a businessand social way. Almost immediately upon his arrival in Ontonagon Mr. German became a leader in all matters for the good of this community. He took an active part helping Ontonagon become a leader of all Upper Peninsula communities in the Red Cross drives, the various bond drives, the Rotary and golf clubs, and it was through his dynamic energy, personality and ability that the final hurdles in the drive for the Ontongon Memorial Hospital were made. and brouglit to a succesful conclusion. Mr. Gorman's advice and council was sought from many individuals and groups and it was always given willingly. He was loved by his many employees, for whom he was always working for their betterment. Mr. German came to Ontonagon about thirteen years ago, and since that time his thoughts were always for the betterment of Ontonagon. His work with the German Lumber company was about completed, however at the time or his sudden death he was making plans for disposing of his plant to some interests who would carry on in Ontonagon. Mr. German was one of the first organizers of the Ontonagon Chamber of Commerce and one of its ﬁrst directors, he was a leading personality in the local chapter of Knights of Columbus and it was largely through his interest and leadership that the local chapter has thrived. The citizens of Ontonagon are deeply grieved at the passing of Mr. Gorman and extend their deepest sympathy to the bereaved family. been born in Marathon County. Wisconsin on February 28, 1887.
field, Minnesota. He also has a sister. Mrs. J. L. Selover of Merrill. Ontonagon Rotary Club, the Hospital Board and the Golf Club. Manufactures Association and several other lumber associations. Holy Family Catholic Church. Burial will be in,Wausau, Wis. The Gorman House was built soon on his arrival. Actually it was built twice, since the first burned before being lived in. It is thought that leenseed soaked rages started the fire. This just the beginning of the Gorman's problem with fire. The house was built north of the village of Ontonagon a large sand dune overlooking Lake Superior. For the most part all the trees were virgin White Pine, manly that still exist. Fishing was once a thriving fishing industry of the late 1800's and early 1900's. 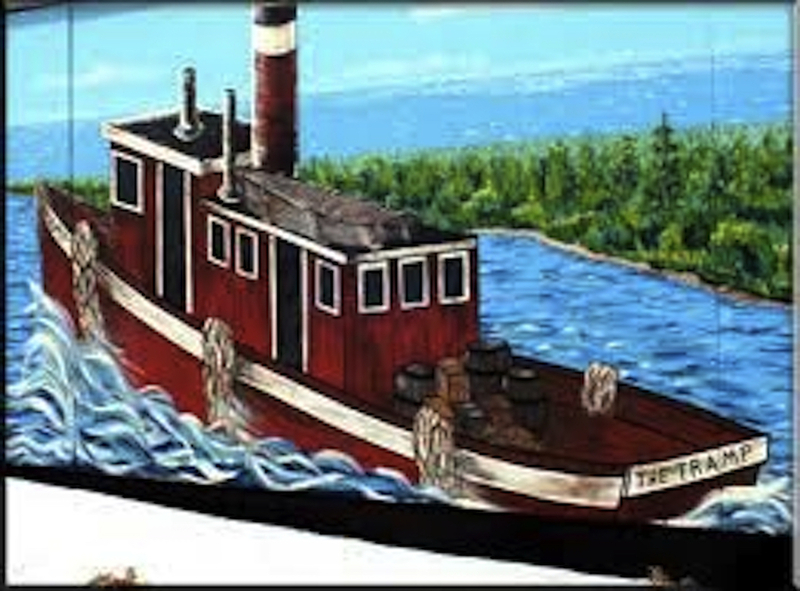 One fishing tug, The Tramp, was owned and operated by the Hawley Brothers of Ontonagon during the late 1800 and early 1900s. Ontonagon fisheries had supplied such delicacies as whitefish, lake trout, and "lake superior oysters" (fish livers). These "oysters" were so prized that they were shipped off to Chicago and New York restaurants. The 182 jobs lost when Smurfit-Stone Container Corp. shuttered its corrugated paper-making plant in Ontonagon, Mich., barely rate a blip on the dismal unemployment screen in that state, which has lost hundreds of thousands of jobs over the past decade. Lost jobs are also a common sight in the U.S. Bankruptcy Court in Wilmington, Del., which has watched jobs disappear by the tens of thousands as major corporations have collapsed in recent years. But a flurry of letters from residents has won Ontonagon a special hearing Thursday before Judge Brendan Shannon, who is presiding over Smurfit-Stone’s Chapter 11 case in Delaware. Shannon hasn’t said why he wants to hear about the plant closure, which is the kind of routine business move that generally doesn’t require court authorization. In an order signed Friday, he said Smurfit-Stone is to “advise the court of the status of their assets and operations” at Ontonagon. The Chicago company is headed toward the exit from Chapter 11 within months. It cited the need to protect its long-term growth and profitability when it announced in December it would close the Ontonagon plant, as well as one in Montana. 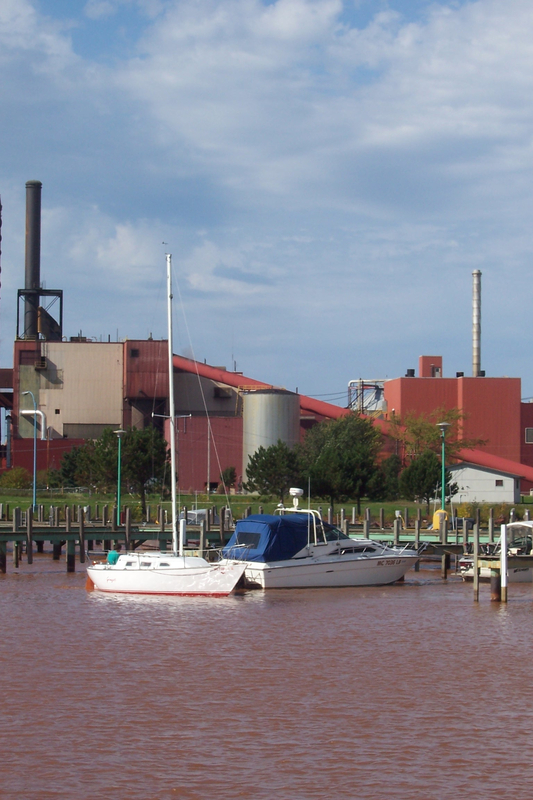 In letters to the court, residents of the sparsely populated Michigan Upper Peninsula raised the specter of extreme environmental harm if the plant that has supplied jobs to the area for three generations is left untended. Tanks filled with acid and caustics will split in the extreme cold, then thaw in the spring, tainting the soil and Lake Superior, they fear. “Please keep the HEAT on,” said a letter from Cindy LeGault, written just before Christmas, shortly after Smurfit-Stone said the plant would never reopen. 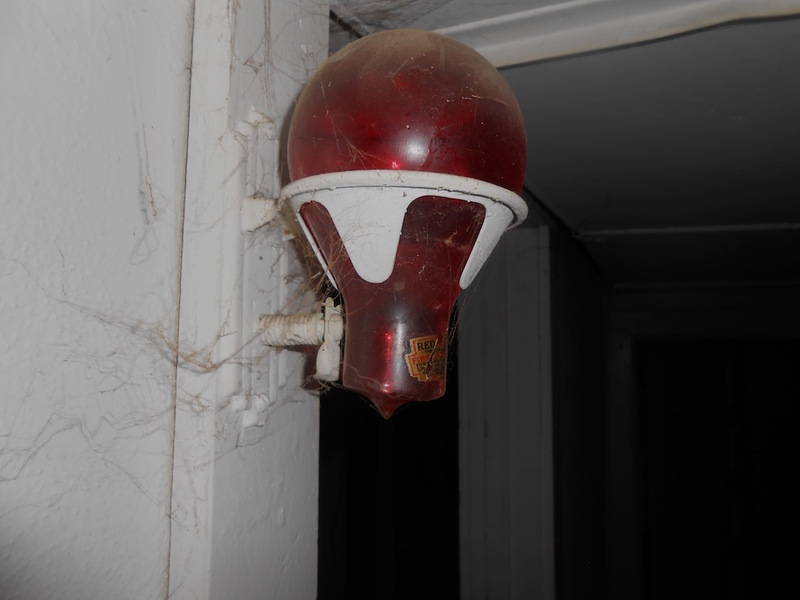 So far, fears of an abandoned plant have not materialized, area residents report. In fact, after the letters started flying to the court, a new gate, with guards, appeared at the entrance to the mill. Paper industry research analysts at Credit Suisse have predicted plant closures and capacity cuts from Smurfit-Stone and others will help push prices up for packaging materials, which have suffered in the recession. Smurfit-Stone spokesman Mike Mullin referred to company statements that blamed weak demand for the product and the high cost of the facility to explain the need to shut it down. Ontonagon residents claim the plant is profitable but is being sacrificed to keep a lid on competition. They have asked Smurfit-Stone to find a buyer or keep the plant in shape so they can find one themselves. The skills, natural resources and the customers are available, and the Ontonagon facility is the only paper plant in Michigan to meet or exceed standards for air and water quality, according to Bruce Johanson, a reporter for the Ontonagon Herald and president of the local historical society. 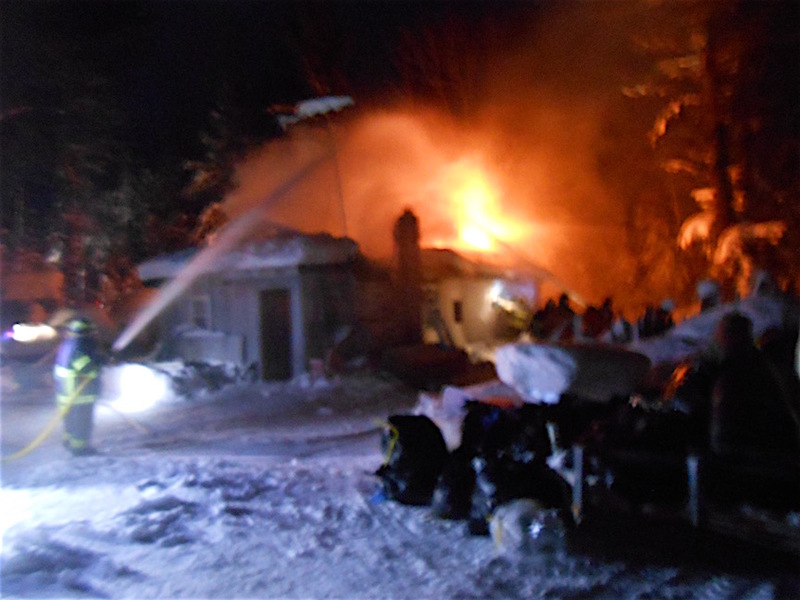 “Maybe they can’t make money, but that’s no reason to destroy the town,” Johanson said. 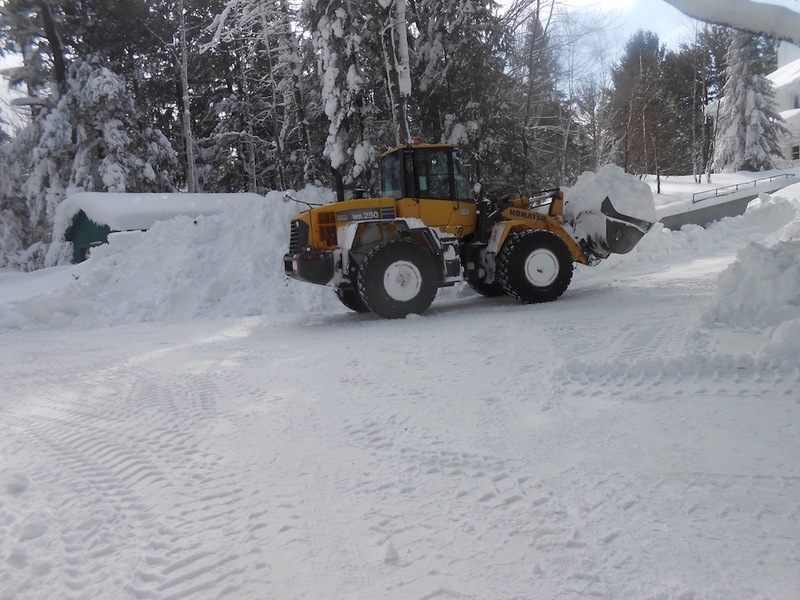 Ontonagon residents are drumming up potential sources of financing to start the plant up again. 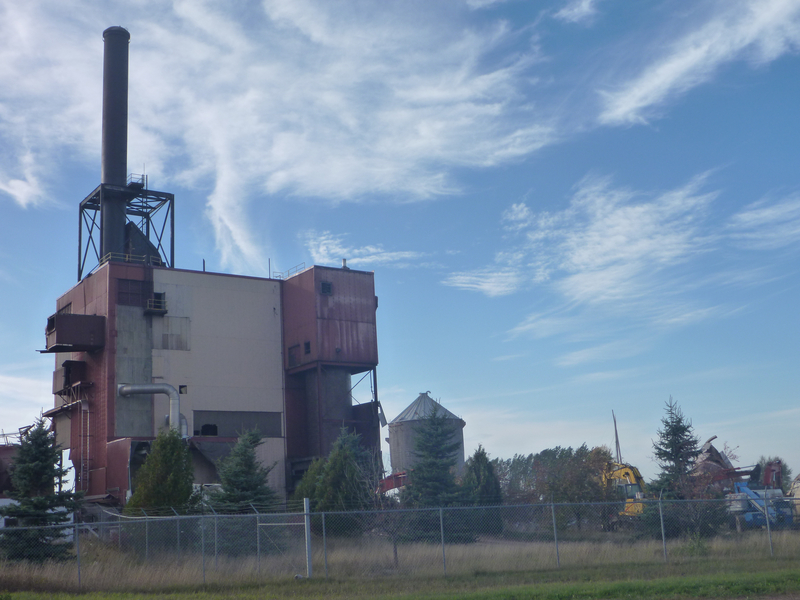 Ontonagon has survived previous plant closings and at least one bankruptcy in the 90 years a paper mill has been in operation at the site, Johanson said. The plant always comes back into operation, and the town is prepared to hang on as long as there’s a plant standing, he said. It’s also looking at legislation that would bar Smurfit-Stone from razing the plant, if that’s what Smurfit-Stone has in mind. “Just walking away from this place is not going to be cheap for them,” Johanson said. 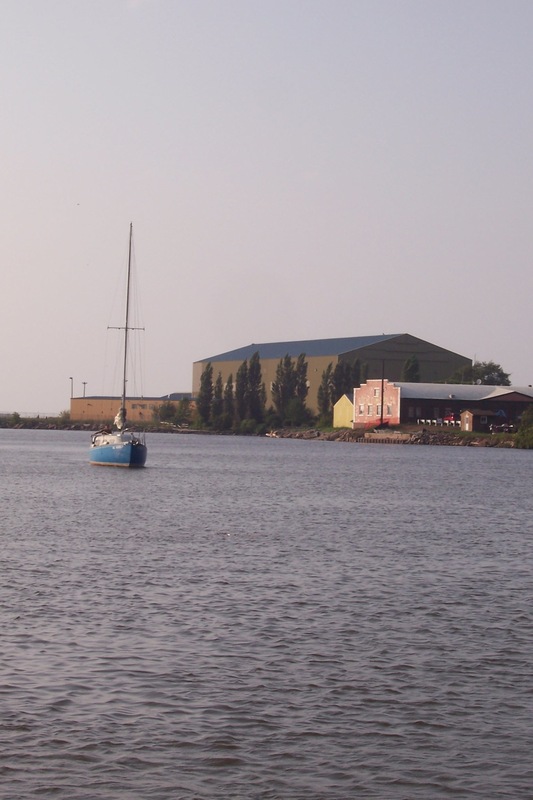 Environmental scientists say the permanent loss of the plant means an end to all of the area’s prospects because it will cost Ontonagon its harbor, which is now dredged regularly for Smurfit-Stone’s business. 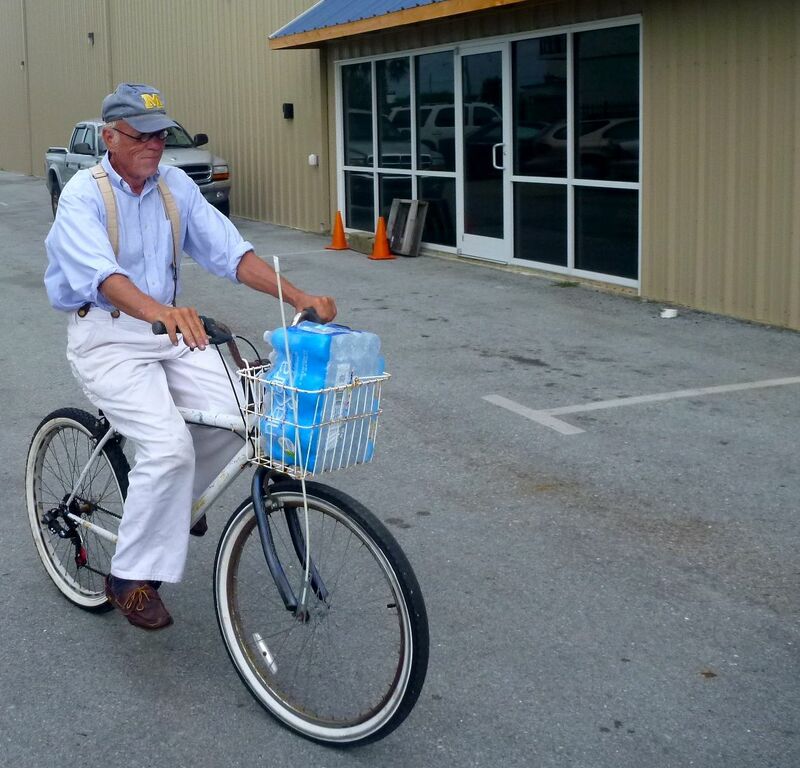 “It would be a shame to rip down that facility,” said Ron Kinnunen, a manager with Sea Grant, a network of university-based science programs that work with coastal communities. Big boats that run into trouble on the Great Lakes are finding fewer and fewer harbors deep enough to provide safety, he said. 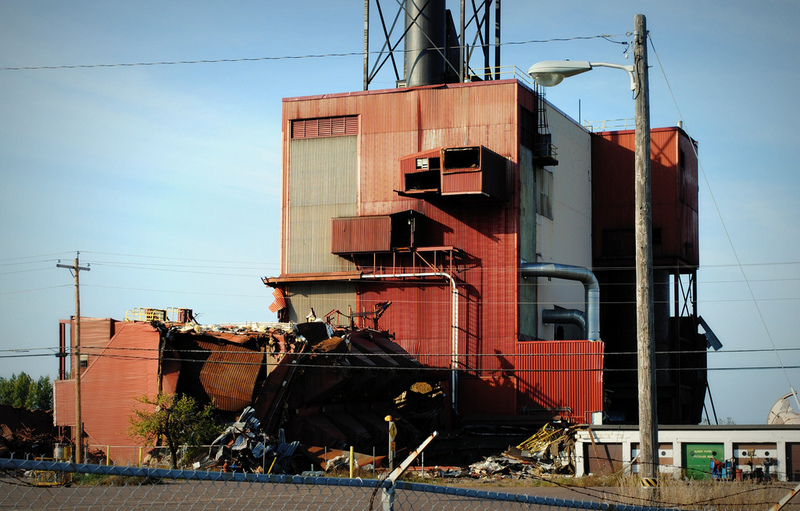 The loss of a plant at Ontonagon means one less safe harbor. 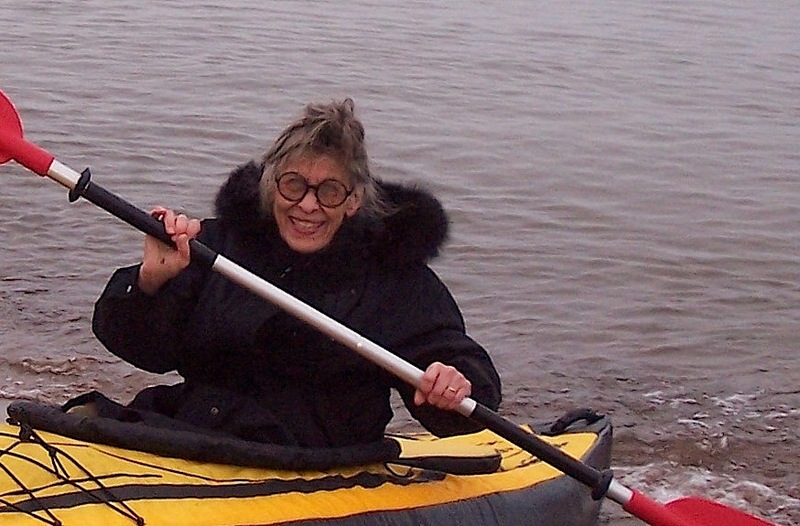 “That community is going to be devastated, and it will be devastating to coastal recreation and refuge,” Kinnunen said. 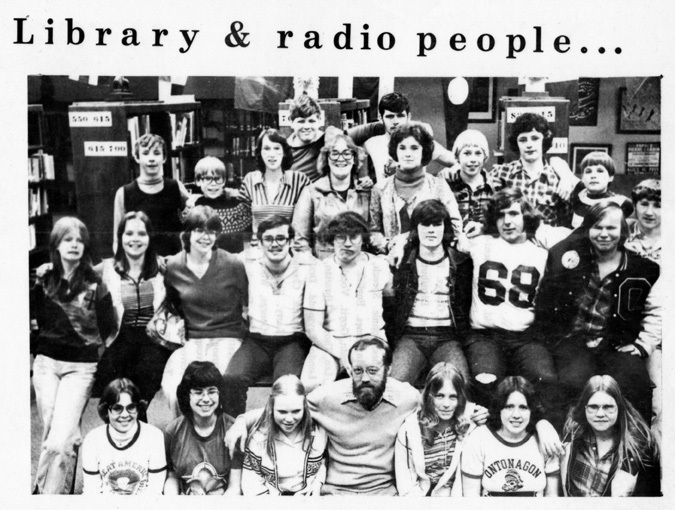 Ar the time I was working as librarian for the Ontonagon Area School District and had at the request of Superintendent Gregory built a low-power radio station,WOAS. This made me part of the “local media” and I got invited to The Kontika, a resturant in nearby White Pine, to hear about a new ship yard coming to Ontonagon. The local businessmen and government types were out in full force. The presenters who had come from New Jersey showed a little flicking film. They explained it showed a tug linked to a tug near Japan. It looked like a home movie. Since I had moved from Long Island, New York to Ontonagon, the presenters to be, what can I say, “slick.” In any case, the “locals” were hung on every word. The best overall view about UPSCO is found in a e-mail published in The Great Lakes and Seaway Shipping magazine. 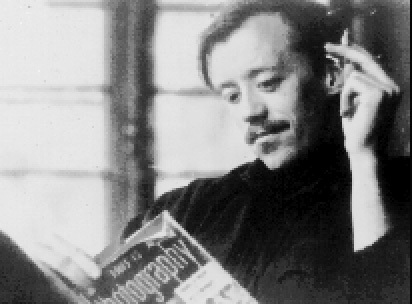 “Franz, Are you pulling my leg or do you honestly don't know the saga of the UPSCO tug and barge? The story was so full of scandal it supposedly made a "60 Minutes" broadcast. (And it is well documented in the Lake Log Chips, Inland Seas and Telescopes of the era, not to mention newspapers nationwide.) Here is a brief summary of the story from memory. I hope I don't have too many of the facts wrong or distorted. Feel free to correct me if I did. In the 1970's the Ann Arbor Railroad, like many others, went bankrupt. It was intended to be included in the federally created Conrail system, but was pulled out at the last minute and kept independent. The Michigan Interstate Railway started operating the railroad and the car ferry service out of Elberta, which was losing money like crazy. Michigan Interstate received operating and capitol improvement subsidies from the State of Michigan. The state quickly learned what every other railroad carferry operator already knew, that on a stand alone basis, they lost money. But there was intense pressure from both shippers and unions to keep them running. So the state commissioned a study to find a cheaper alternative. The proposed solution was integrated tug-barge units, kind of a new idea at the time, at least on the lakes. The initial plan was for one tug and 4 barges. These were to be freight only ferries, no passengers. About this time, (I'll guess about 1978) some local politicians in the Upper Peninsula heard about the scheme, and thought that Michigan should build these vessels, since Michigan would pay for them. But Michigan didn't have an active shipyard. So they proposed that a new one be built in Ontonagon, which was very economically depressed at the time. Through some great politicking, the proposal was hashed out and approved. I know state funds went into it, and I think federal funds as well. The name of the new company was the Upper Peninsula Shipbuilding Company, UPSCO for short. They had the main contract to build the tug and barges, and I think they quickly got Navy contracts as well, for barges and pontoons. Things started to go wrong when the tug and barge were about half built. 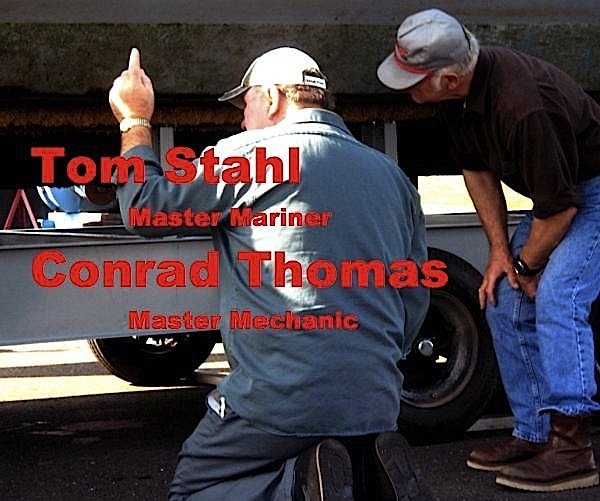 Apparently, kickbacks were accepted by company officials from the builder of the tug's engines. The ensuing investigation bankrupt the company, stopped construction and landed several officials in prison. 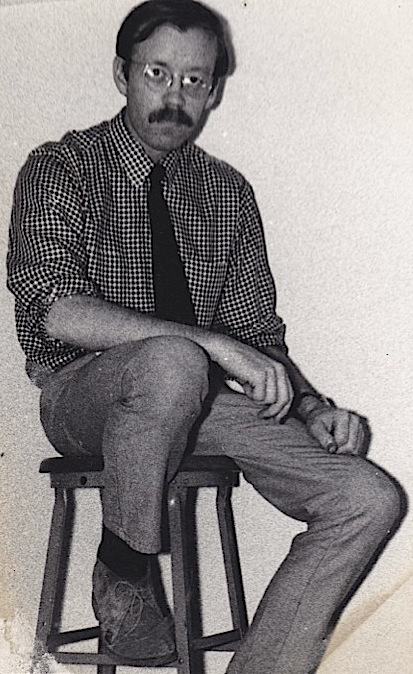 By that time (around 1982?) the state realized that the most economical thing to do was to halt the carferry service and turn the old Ann Arbor Railroad into a branch line for local service only. Therefore the state had no need for the one tug and one barge then partially completed. UPSCO's assets and the tug and barge were placed on the auction block. At least one winning bidder had to withdraw due to a lack of financing but the shipyard was finally sold. 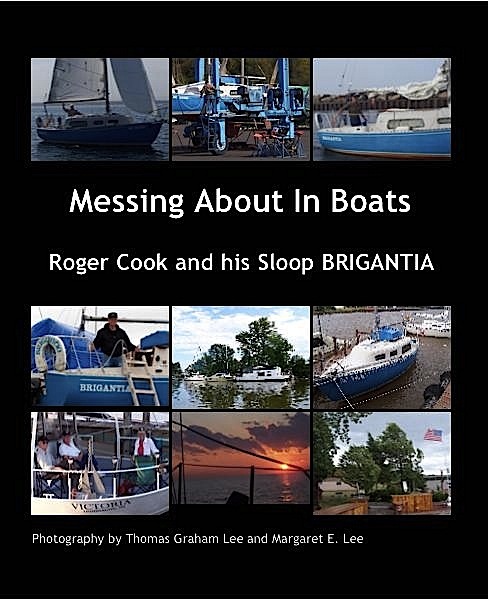 The name of the purchasing company was Wedtech, which owned other shipyards and defense plants. Wedtech seemed to win a suppressing amount of defense contracts and started building more military pontoons at Ontonagon. It was soon revealed, however, that the reason Wedtech got so much work was because they were paying off high-ranking officials in the Reagan administration and members of Congress. So the doors to the shipyard were closed again. As for the tug and barge they sat around Ontonagon and Houghton for several years until a federal court finally had them auctioned off. Not long after that they were back in the hands of the government, seized by US Marshals since the newest owners were convicted of drug smuggling and had used drug profits to purchase the pair. At some point they were resold and finally made their way south (Louisiana??) where they were finally completed as the Thunder and Lightning. (I assume it is the same tug.) And as far as I know, there haven't been any scandals published about their current owner, Odyssea Transportation. A versatile athlete, Gary Lange participated in football, basketball, and track during his years (1970-74) at Michigan Tech. It was basketball, however, that he excelled in. Lange, who is a former vice president of the Varsity Club, scored 1,049 points during his stay at Michigan Tech, and is currently the 8th all-time leading scorer in Huskies history. He is also among the top ten all-time MTU players in field goals made (418), free throws made (213), and assists (207). Following graduation from Michigan Tech, Lange attended Thomas M. Cooley Law School in Lansing, Michigan, from 1975-79, earning a Doctor Juris degree. After a five-year sting in private practice, he was named prosecuting attorney for Ontonagon County where he has served since 1983. 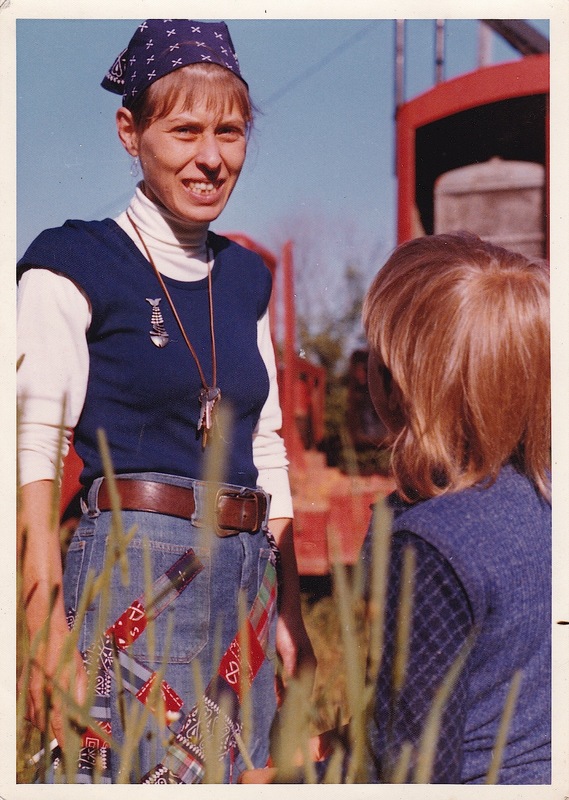 Lange has kept a keen interest in Michigan Tech since leaving the institution as a student. 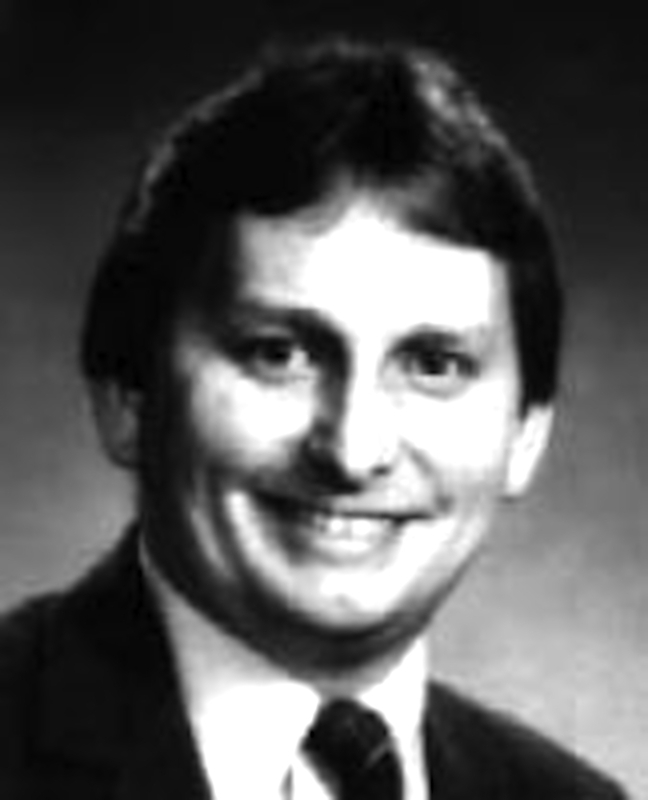 From 1975-83 he served as a member of the MTU Board of Contol, acting as chair during the 1981-82 school year. He is a member of the University's Presidents Club and is also and Honorary Coach in the Huskies Club. ELPASO, Tex. - A former Ontonagon County prosecutor, who served on Michigan Technological University's Board of Control and is in the school's Sports Hall of Fame, was sentenced to two years in federal prison after being convicted of a fraud scheme involving the El Paso, Texas Independent School District. 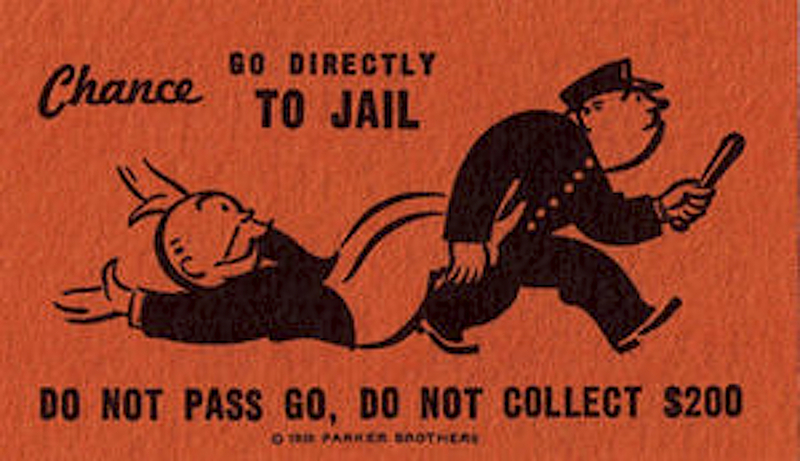 According to the United States Department of Justice website, on Oct. 16, U.S. District Judge Frank Montalvo sentenced 61-year-old Gary Lange of Haslett, Mich., to two years in federal prison and ordered him to pay more than $2.89 million in restitution for the fraud scheme involving a services contract for the EPISD special education program. From 1970 to 1974, Lange played for the Tech football, basketball and track teams, according to the Tech Huskies website. During his time on the basketball team, he scored 1,049 points. He made 418 field goals, 213 free throws, and had 207 assists. The Houghton native was inducted into the Michigan Tech Sports Hall of Fame in 1988. From 1975 to 1983, Lange served on the Tech Board of Control. From 1975 to 1979 he attended Cooley Law School in Lansing. He was Ontonagon prosecuting attorney from 1983 to 1988. Also according to the DOJ website, "In February 2009, Lange pleaded guilty to one count of conspiracy to commit mail fraud and deprivation of honest services. By pleading guilty, Lange admitted that from February 2003 to October 2007, he conspired with his business partner, Joseph O'Hara, of Albany, NY, former El Paso Independent School District Associate Superintendent Tomas Gabaldon and former El Paso Independent School District Trustee Sal Mena to fraudulently secure and maintain a contract to provide software to the special education department of EPISD and to provide services to obtain federal and state reimbursement funds for special education programs. Lange further admitted that he facilitated O'Hara in paying $100,000 in bribes to Gabaldon and a $5,000 kickback to Mena in 2005 for their help in securing the contract for O'Hara's company, Strategic Government Solutions, Inc. SGS failed to provide working software to EPISD as required by the contract and it submitted improper claims for reimbursement funds." ONTONAGON — Margaret and Tom Lee didn't have a bed and breakfast business in mind when they purchased the Gorman House in July 1988. The spacious estate on Lakeshore Drive in Ontonagon Village was built in 1943 by the last of the area lum-ber barons, Walter Gorman. The Lees, active in corporate philanthropy and publishing, planned to use the home as a personal and business-related retreat. "We opened by acci-dent," Margaret Lee says. A couple from Minneapolis showed up at the old Ontonagon County Courthouse, another historic building the Lees have acquired, and said there were no hotel rooms available in the area. Lee's talents as a hostess were evident even then. 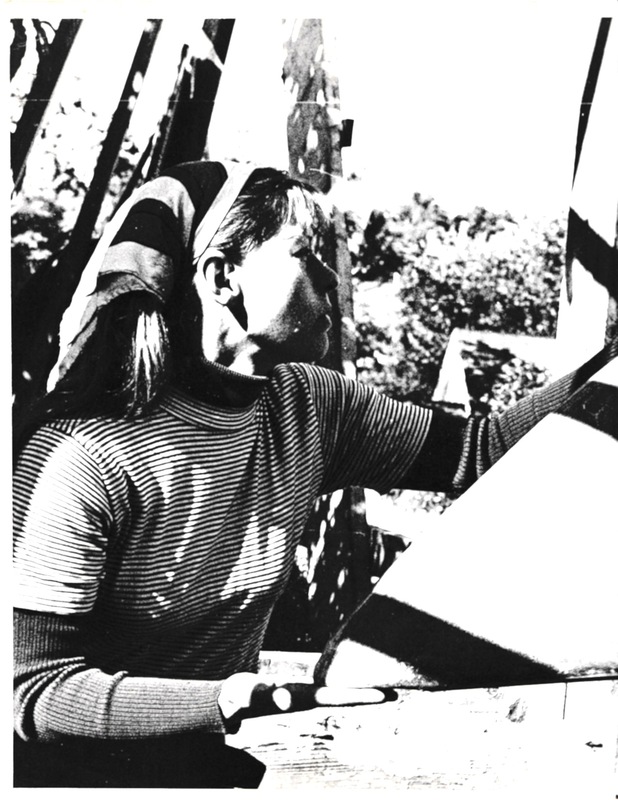 She asked the couple to stay at The Gorman House, then under restoration. for their week's vacation. " They were the ones who convinced us this could work," she says. The Gorman House officially opened in August, offering area business and leisure travelers a chance to travel back to a time and place when gracious living and luxury were the watchword. "For those who want to get to know a community, its history, and take a personalized vacation, this is the way to travel," says Lee. A bedroom with private bath and living room suite or a smaller bedroom with private bath are available. A maximum six guests are allowed full run of the house, including the only modernized rooms, the kitchen and spa. The spa room boasts a hot tub and sauna. Other modern touches include in-suite television and videocassette recorder. 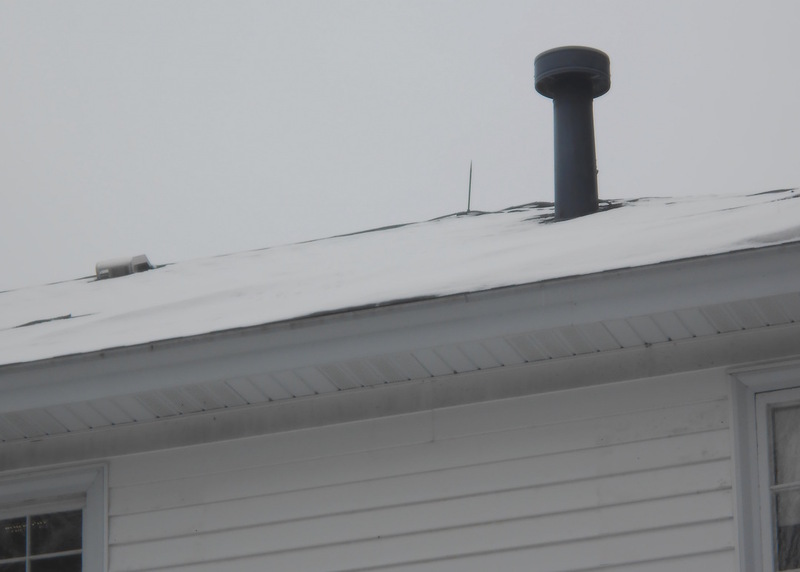 The Lees say they plan to take out a satellite dish out in by a former owner, since it's not compatible with the aura of yesteryear they want to create. Visitors are free to roam ten acres of virgin white pine-studded and landscaped grounds and a 1,000 foot private sand beach on Lake Superior. 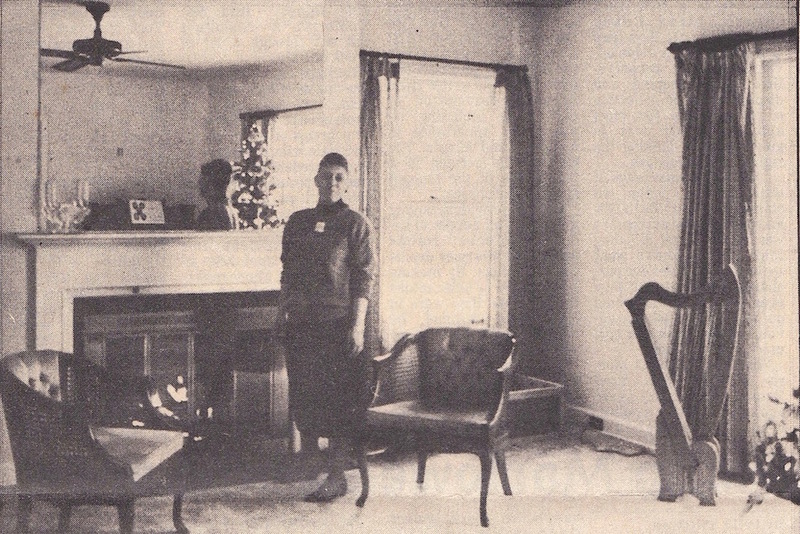 The Lees researched, talked to area people who remembered the house as it was and enlisted aid from Ontonagon High School art teacher Sherry McCabe in furnishing the house with antiques and 40's vintage items. All furniture is from the Upper Peninsula, Lee says. The rooms, sunlit by lots of windows, plushly car-peted, wood furniture gleaming, must be seen to be appreciated, from the suite holding Mrs. Gor-man's original vanity table to the wide expanse of living room accented by an antique pump organ from Ishpeming and a marble fireplace. Champagne is served evenings by the fire and a coffee tray appears outside the bedroom door mornings so guests can revive them-selves before going down to breakfast. "Anything we can do to pamper anybody, we will," Lee says. In the spacious dining room Lee serves a homemade continental break-fast. Fruit cup, fresh-baked muffins and plenty of coffee are typically on the menu. "Bed and Breakfasts will never replace hotels or motels," Lee says, noting that this kind of accomodation isn't for everyone. "There's a tremendous amount of cooperation" between Gorman House and other more conventional lodging facilities in the way of referrals, rate comparisons and passing on information, she says. One might think unfamiliar faces passing through would infringe on their privacy, but the Lees, married almost 25 years, say they eniov their guests. Most people don't stay strangers for long. Recent Gorman House guests range from local honeymooners to out-of-town business travelers seeking a peaceful retreat after conferences and meetings. The effervescent Lee, a born "people person" gifted in the art of conversation, keeps a guest scrapbook and notes which guests have compatible interests so the next time they return she'll be able to line up visitors and activities customized to personal tastes. Arranging guest mini-courses in regional cooking and crafts is also in the works, she says. 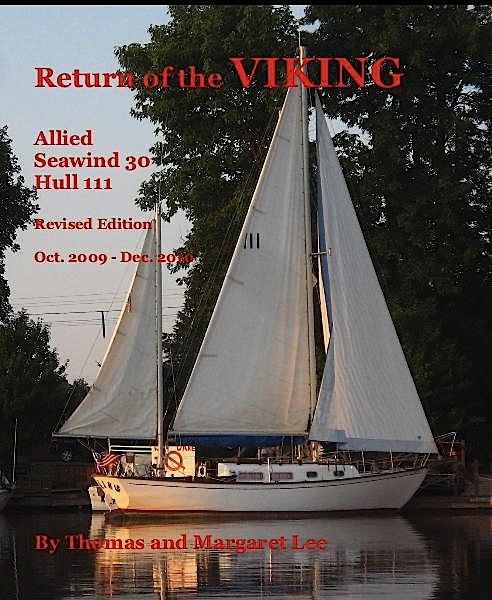 Both Lees make it a point to keep up on historical re-search, since they need to answer guest's questions on everything from Lake Superior shipwrecks to copper mining. The Gorman House is listed in "Michigan's Bed and Breakfast and Historic Inns" published by the Michigan Department of Commerce Travel Bureau. Rates for one or two are $65 per night, with $10 extra charged for each additional person. For more information call toll-free nationwide (800) 000-000 or within Michigan (906) 000-0000. ONTONAGON - A dazzling Lake Superior sunset silhouettes towering white pine trees, providing the perfect backdrop for The Gorman Estate, a unique vacation rental in Ontonagon, Michigan. Tourists seeking the serene mood of the north don't expect to find"one—in—a million" vacation lodging. A former lumber baron's estate isn't usually the type of vacation accommodation that is available inthis remote area. Who would believe that a family or group of friends could rent an entire historic estate for about the same price as modest housekeeping cottages? The German Estate is becoming just as much of a draw for tourists as the usual reasons for traveling to the north. Renting an estate makes it all more magical. Tourists use the Gorman Estate as an exquisite jumping off point to explore the scenic northern wildnerness and panoramic beauty of Lake Superior. Located on Lakeshore Drive in the village of Ontonagon, the estate offers seclusion, situated on Lake Superior and surrounded by 10-acres of forested grounds, manicured lawns, and rose hedges. Less than five minutes away from Ontonagon's shops, restaurants, and well-stocked supermarkets, vacationers have the convenience of being right at home. However, the true north is close at hand, too. The Porcupine Mountains Wilderness State Park is only 30 minutes from the Gorman Estate. It doesn't take long, at all to reach pine—studded bluffs, waterfalls, rocky cliffs, virgin timber, deep forests, and driftwood-strewn beaches. 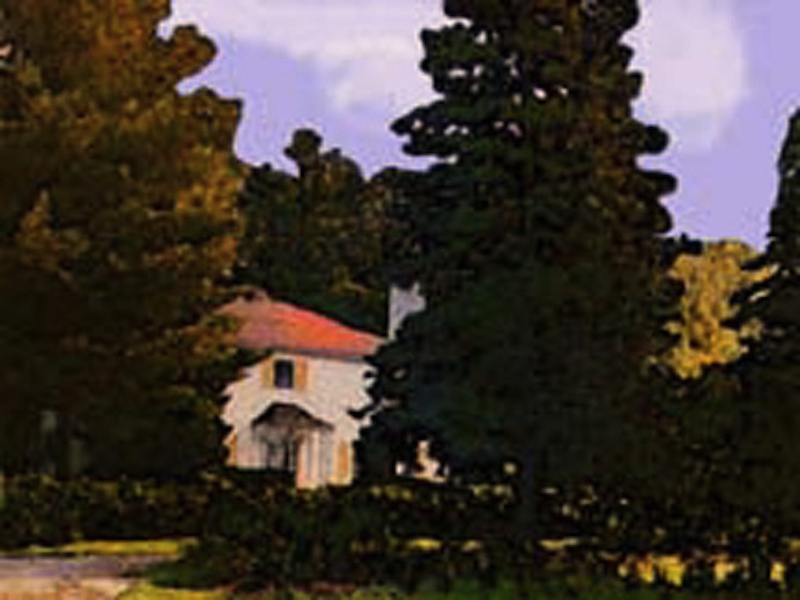 The Gorman Estate is situated in the heart of the north woods, attracting landscape lovers from aroundthe world. Called a "hidden pocket of America" by National Geographic, this coastal area in Michigan's U.P. 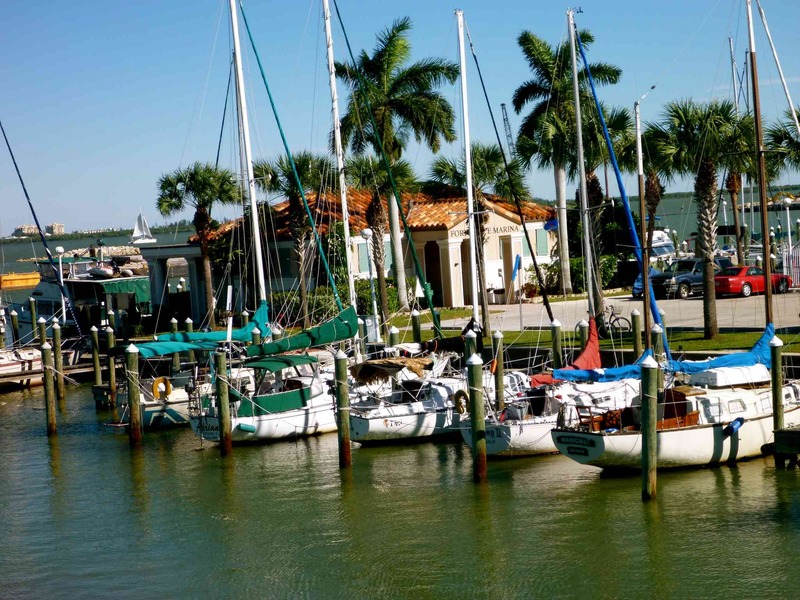 offers an abundance of unhurried and uncrowded recreation opportunities. Vacationers take their pick of activities, including hiking, camping, jeeping, biking, swimming, fishing, canoeing, sailing, rock bounding, and scenic photography. a recent visitor. In both cases, The Gorman Estate fit the varied requirements of these vacationers. The pine-scented pathways, ancient evergreens, rose hedges, circle drive, and wide expanse of lawn invite guests out of the house and down to the private sand beach on Lake Superior to take in the grand view of the Porcupine Mountains quite a trick, considering what's inside. What's inside is serene, giving every guest a sense of well-being and supreme comfort. "Men especially love this house," say the present owners, Thomas and Margaret Lee. "It was originally built in 1943 by the last lumber baron in our area. He and his wife wanted large, light-filled rooms with big windows and tremendous views, no matter where one looked. They certainly got what they wanted!" The house is tastefully furnished with antiques you can actually sit on, overstuffed vintage sofas, Oriental rugs, and chandeliers. Subdued lace-weave spreads drape top-of-the-line beds. Nothing is too frilly or over-decorated. Thick carpeting and marble fireplaces, upstairs and downstairs, add to the charm. Many l940-era collectibles, including lamps, mirrors, radios, and even old magazines, are placed where appropriate. Formerly a popular Bed & Breakfast facility, the Gorman Estate has been turned into a one—of-a-kind lodging for tourists. "Our publishing business takes priority right now over operating a Bed & Breakfast," say owners Thomas and Margaret Lee. "But many of our guests still want to stay at the estate. So we simply turned the house over to all tourists." The Lees themselves work and live in another historic building they acquired, the Old Ontonagon County Courthouse in Ontonagon. That building has been granted historic landmark status. "Living in a courthouse has its benefits," says Tom Lee. "Itgives us a chance to say things like ’Objection overruled'." 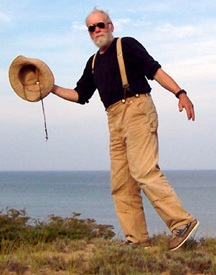 THOMAS G. LEE, B.S., M.A., A.M.L.S. 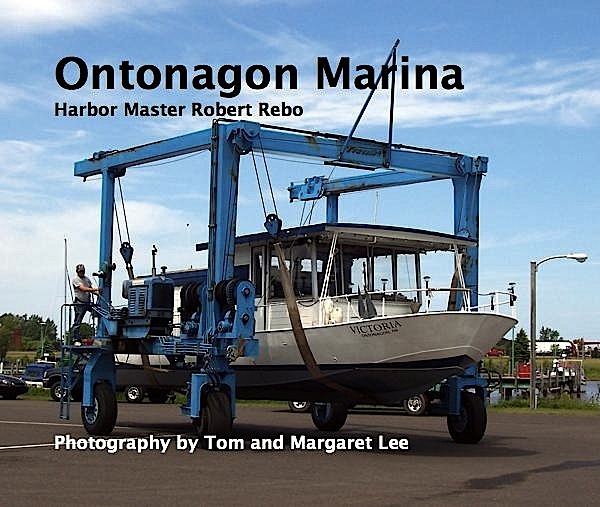 Author: Around and About Ontonagon's Harbor. 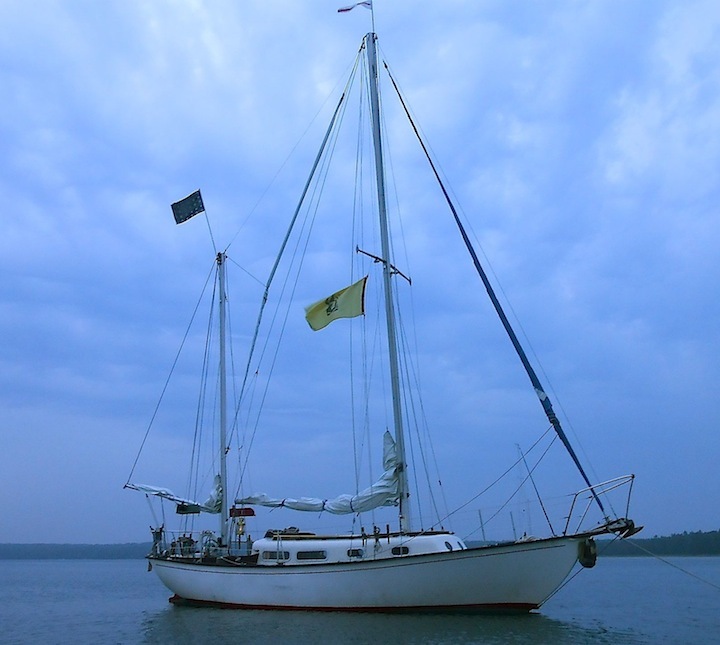 77 day passage on s/v WINDSONG by water from Ontonagon, MI to Fort Pierce, FLProfessional Librarian. A.M.L.S., The University of Michigan, Ann Arbor.Curriculum & Instruction. M.A., The University of Michigan. 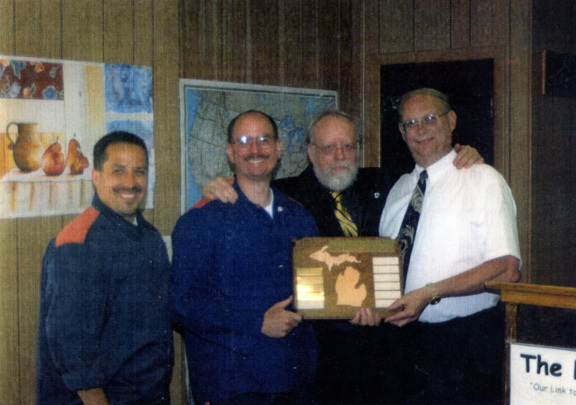 Link wins the Michigan Penal Press Award as Best Prison Newspaper in Michigan for 1998. 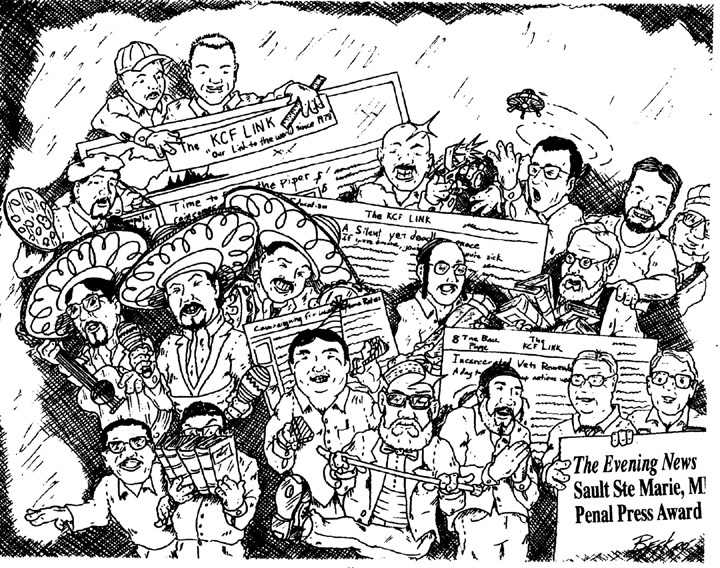 Link wins the Michigan Penal Press Award as Best Prison Newspaper in Michigan for 1999 (Second year in a row! )Appointed to Advisory Board, Southern Poverty Law Center, Montgomery, Alabama. 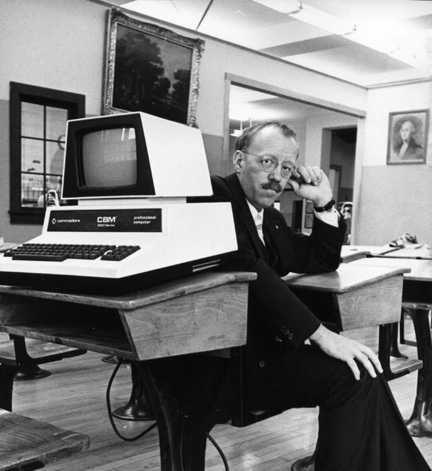 Technology-Using-Educator of the Year Award, 1982. Web Designer. Developed and ran first commercial Internet web server in Michigan's U.P. in Houghton, Michigan. Web Designer. Developed popular internet web site <leoedwards.com> dedicated to my grandfather Edward Edison Lee who authored 50 books in the 1920's and 30's under the pen name of Leo Edwards. Web Designer. 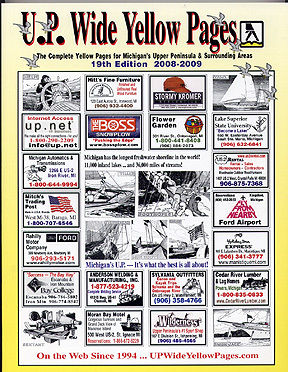 Developed a number of successful web sites, including: up-wide.com, upbiz.com, ontonagon.com, michigancatalog.com, wisconsincatalog.com, texascatalog.com, etc. Grant Writer. Writer of over 100 funded state and federal grants. Wrote successful grant to restore theatre in Ontonagon Township Building, 1997. Founder. The Weekly Bulletin: The Complete Shopping Guide for the Western U.P. President. Ontonagon County Chamber of Commerce. Facilitator. National Network of Complementary Schools. A national exchange program between selected public and independent schools. Author. Give-and-Take: The Complete Tax Incentive Guide and The Approved Methods for Donating or Accepting Corporate Gifts of Inventory. Fourth Edition. Producer/Designer. Rent-A-Workshop A series of video tapes, including: Investment Options for Nonprofits, Working With The Press, A Guide to Grants, Planned Giving, Sports and Fitness Events as Fund Raisers, etc. Author. Great Deal$, Smart Buys, and Real Bargains$: A Complete Guide to the Best Surplus Markets., 1986. The Electronic Classroom. 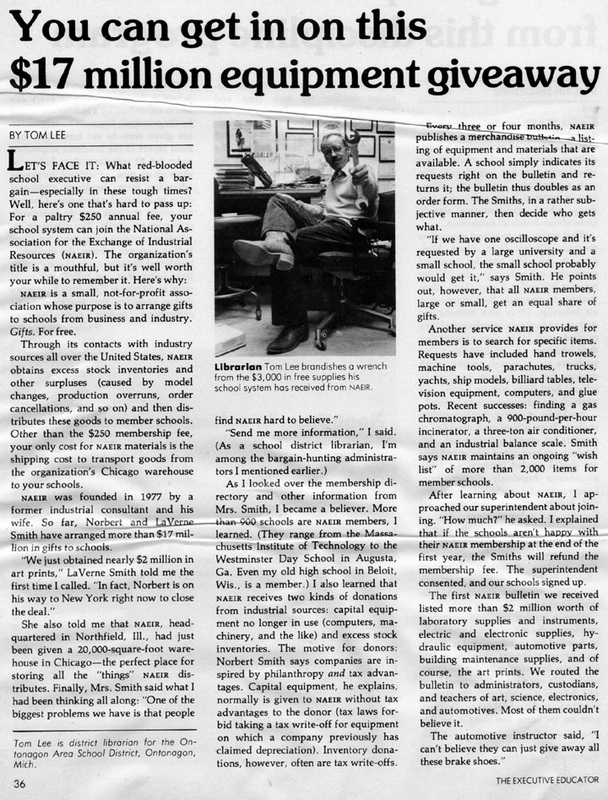 Over 75 columns on computer and educational technology. The Information Connection. Columns on information technology. Member. Rotary One - Chicago; the world's first service club. Classification: Corporate Philanthropy. Director/Planner. National Conference (in Chicago) on partnerships between business and education. Designer/Builder/Fund Raiser/General Manager. WOAS- FM, Ontonagon, MI. Director. Micrographics Project. U.S. Office of Education. Founder. 501(c)(3) Monthly Letter. 3rd largest nonprofit management publication in the United States. President, U.P. West, Area-Wide Telephone Directory Service. Incorporated, July 1989. Publisher. Ewen Centennial History Book, 1989. Eagle Scout with God and Country Award. Member, Order of the Arrow. 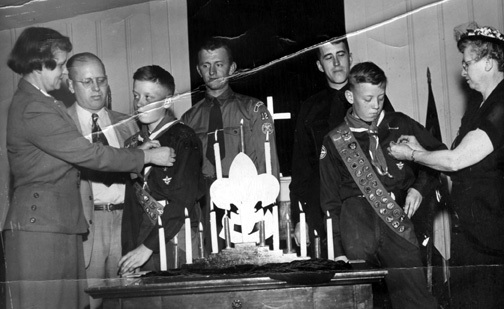 Boy Scouts of America. Librarian. 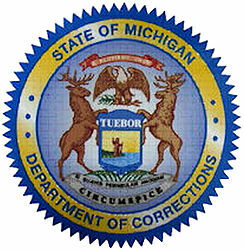 Law Library, General Library, School Library and SEG Library, Michigan Department of Corrections, Kinross Correctional Facility (KCF), Kincheloe, MI 1997-2000. Director. 21st Century Internet Design Group. Designer of national Internet "catalog" project. 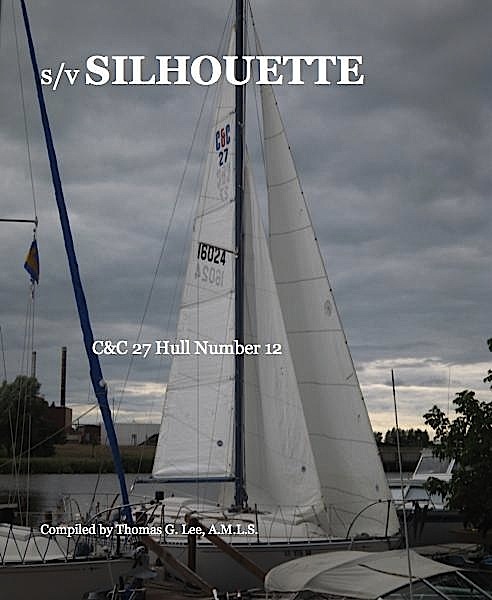 Current catalogs now online include: michigancatalog.com, wisconsincatalog.com, and texascatalog.com. Editor and Publisher. The Lake Superior Miner. Editor and Publisher. The Weekly Bulletin. Director of Research and Development. National Association for the Exchange of Industrial Resources. Northfield, IL. 1983-85. Consultant/Conference Planner/Advertising Advisor. NationalConference on Partnerships between education and corportions. 1983. Federal Projects Writer, General Manager WOAS-FM, Librarian. Ontonagon Area Schools, Ontonagon, MI. 1975-83. Director of Media Services. Half Hollow Hills Schools, Dix Hills, Long Island, NY. 1974-75. Director of Media Services. Centennial Educational Park, Plymouth Public Schools, Plymouth, MI. 1970-74. Media Director. Mona Shores Schools, Muskegon, MI. 1966-70. High School Librarian, Muskegon High School, Muskegon, MI. 1965-66. Journalist. 82nd Airborne Division, and 18th Airborne Corps, Fort Bragg, NC. Cadet. United States Military Academy, West Point, NY. First Search: World's largest bibliographic database. A.M.L.S. 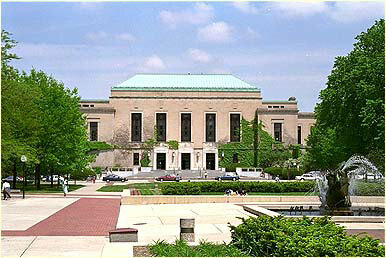 (Library Science), The University of Michigan, Ann Arbor, MI. 1970. Renamed The Information School. M.A., Master of Arts, Audiovisual Education and Curriculum Development, The University of Michigan, Ann Arbor, MI. 1968. B.S., Bachelor of Science. 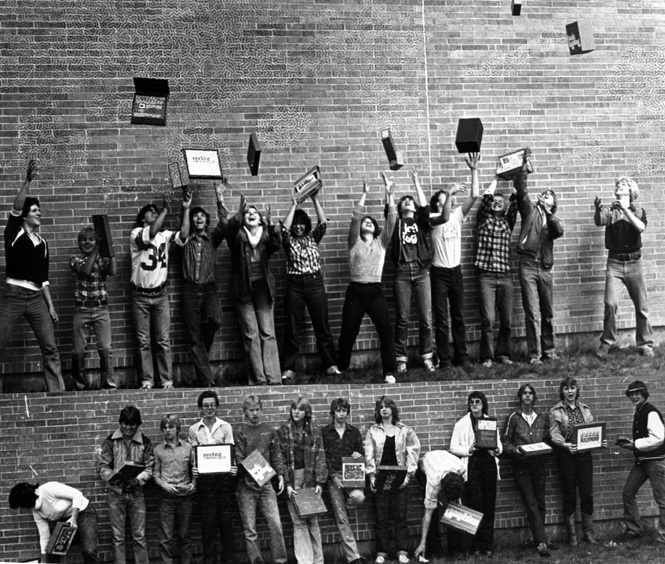 Journalism and Library Science, Wisconsin State University, Oshkosh, WI. 1965. Diploma. U.S. Army Information School, Fort Slocum, NY. Cadet. U.S. Military Academy, West Point, NY. Memorial High School, Beloit, WI. Rackam School of Graduate Studies, The University of Michigan, Ann Arbor, MI. 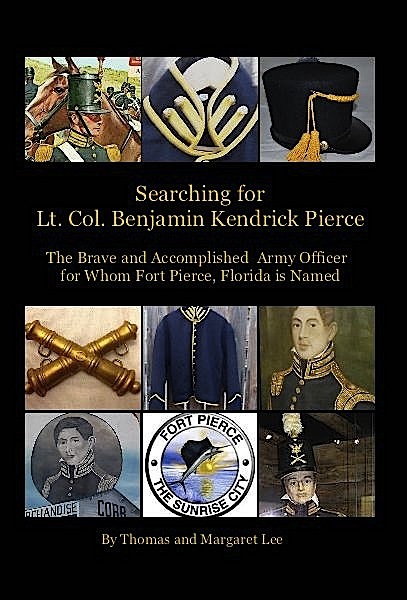 Searching for Lt. Col. Benjamin Kendrich Pierce: The Brave and Accomplished Army Officer for Whom Fort Pierce, Florida is Named. Designing a library for a special clientele. Ironwood Daily Globe, February 27, 2001. Designer. up-wide.com, a comprehensive world wide web site of businesses in Michigan's Upper Peninsula and in surronding areas in Wisconsin, Minnesota and Ontario Canada. Designer. UP-Wide Yellow Pages. 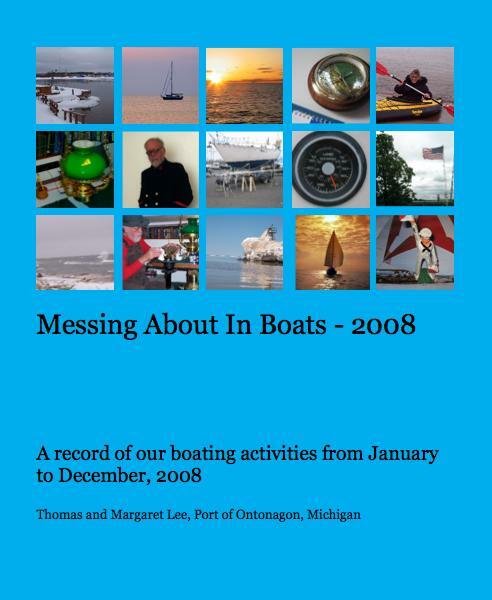 A comprehensive 336 page directory for Michigan's Upper Peninsula. Give-and-Take: The Complete Tax Incentive Guide and the Approved Methods for Donating or Accepting Corporate Gifts of Inventory. Fourth Edition. Great Deal$, Smart Buy$ and Real Bargain$: The Complete Guide to the Best Surplus Markets. Practical Philanthropy. A fund raising kit for planned giving. 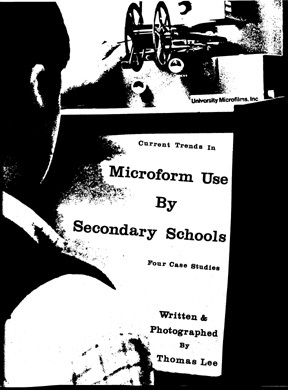 Microform Systems: A Handbook for Educators. Administration of an Instructional Film Program: A Handbook for the Building Audiovisual Coordinator. Corporate Philanthropy. Monthly column in the NAEIR News. You Can Get in on This $17 Million Equipment Give away. The Executive Educator. February, 1982. If A Computer Answers, Don't Hang Up. Classroom Computer News. Authorship of School Textbooks for Education Faculty Appointed Between 1879-1929 at The University of Michigan. Notes and Abstracts. Project Adventure. The New North. Historical Notes. A series of columns on the history of Rotary. The Gyrator, Rotary One, Chicago. 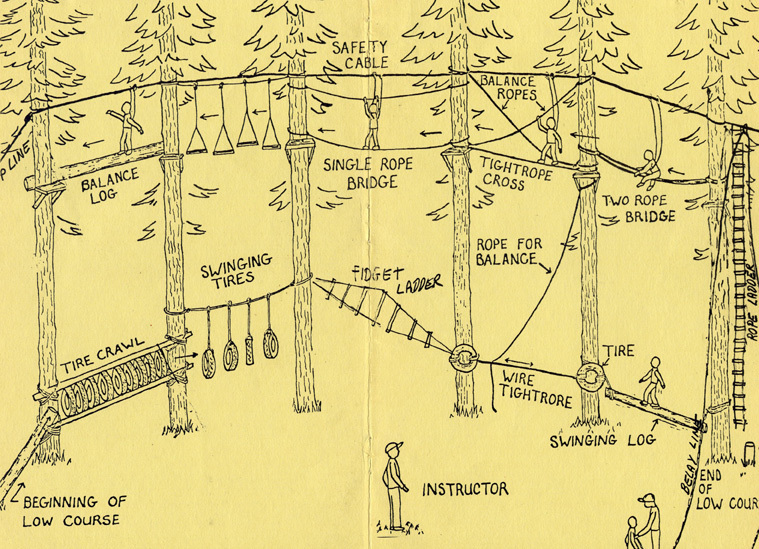 BACSTOP: A Teacher's Guide to Ropes Courses and Other Initiatives. The Porcupine Quill Press. Hard to Believe Association Arranges Donations to Schools. The New North. The Secret and Mysterious Order of the Freckled Goldfish. Tuffy Bean Comes to Ontonagon. DATE DUE. Over 150 columns on information technology. THE ELECTRONIC CLASSROOM. Over 75 columns on technology. Putting Computers to the Test in British Columbia. Classroom Computer News. History of 10-Watt Radio Stations. Every Child A Winner in New Physical Education Program. The Source. The New North. A View From The Inside, By Gary Lamberg, Publisher, Ironwood Daily Globe. February 21, 2001. Many More Books Coming. 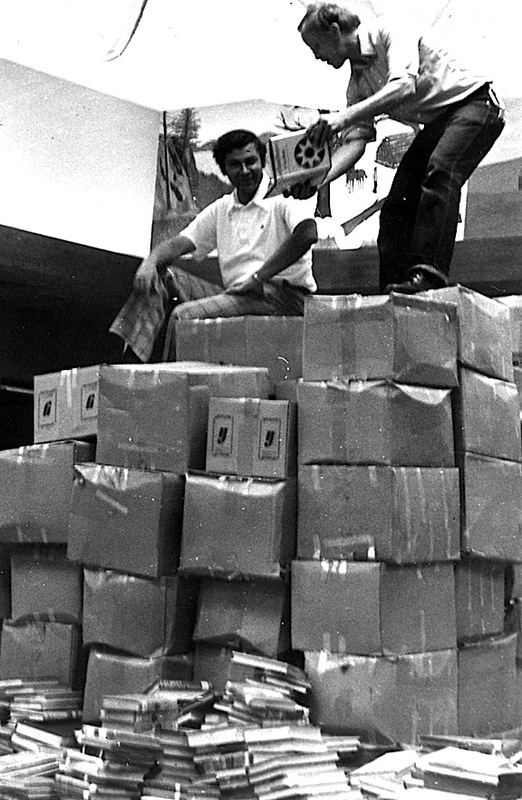 Story of large book donation to KCF from the famous Newberry Library in Chicago. The KCF LINK, April 1999. 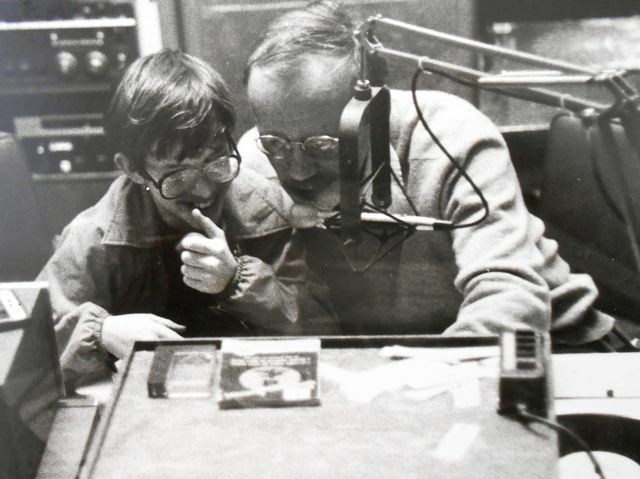 WOAS-FM, started by Tom Lee receives special Michigan Education Association recognition. Ontonagon Herald 5/13/98. 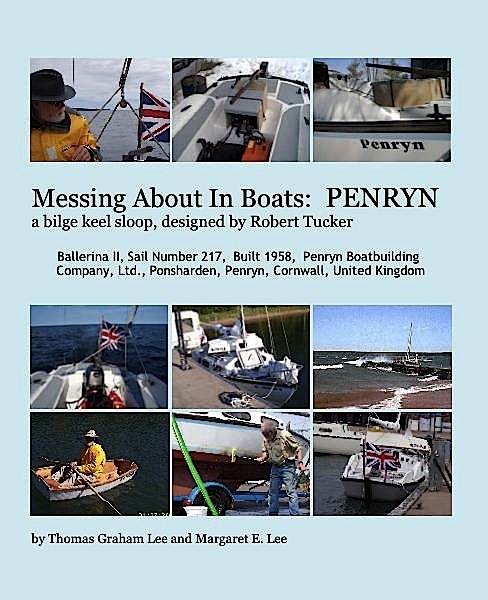 Far-flung Networking - Publisher Tom Lee Reaches the Far Corners of the Globe Via the Internet. Printing Impressions, February, 1995. Pied Piper' Keeps Students Wrapped Up in Learning. Houghton Mining Gazette. January 7, 1979. Bookworms (a story concerning the donation of 6,000 free books) The Milwaukee Journal, July 29, 1980. 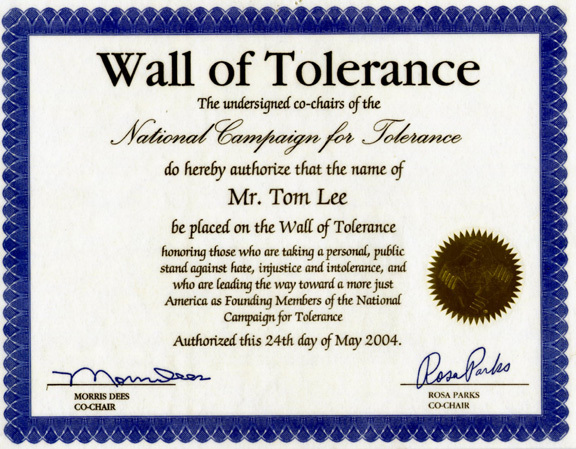 Tom Lee . . . His Projects Benefit School. 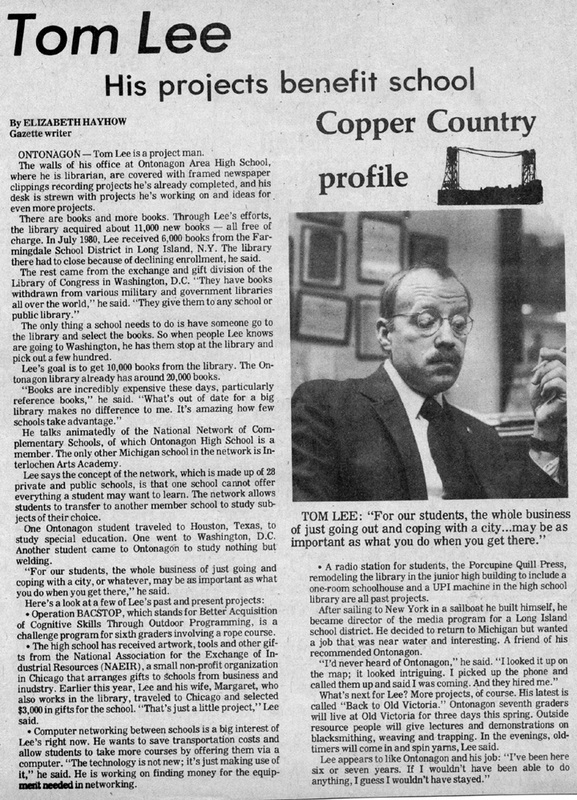 A Copper Country Profile. The Mining Gazette. Porcupine Quill Press Makes Point in Ontonagon. Beloiter Chosen for West Point. Beloit Daily News, May 28, 1959. Ontonagon School Finds Gold Mine . . . In Free Books, That Is ! Polynesian Catamaran Replica at Ontonagon. Local Librarian Named Technology Using Educator of the Year. Welcome Mat. The Gyrator, Rotary One, Chicago. Lee Elected to Rotary One Membership. The Gyrator, Rotary Club of Chicago. Bed and breakfast in style. The Houghton Mining Gazette. 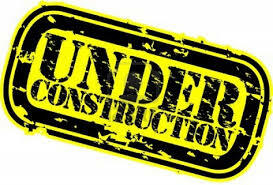 Legal Responsibilities, Required Equipment, Etc. 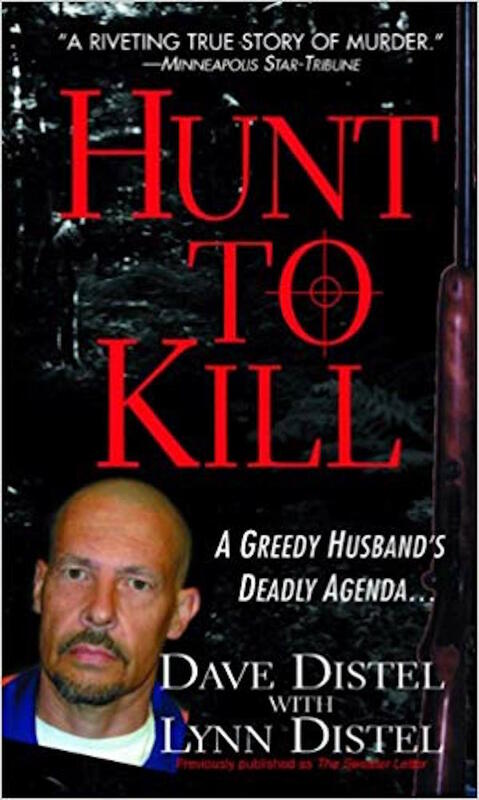 (Leo Edwards) author of 40 books, and to his many fans.